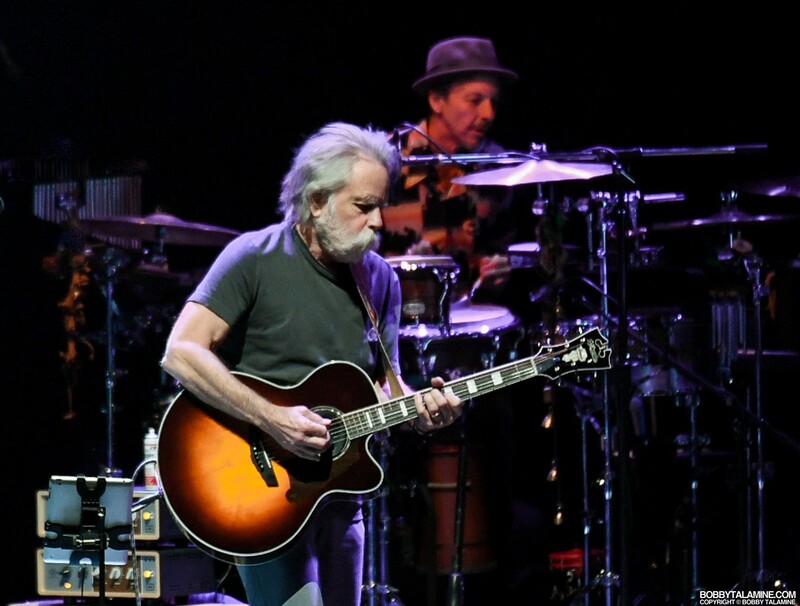 These two- Bob Weir and Phil Lesh from the Grateful Dead- have withstood the test of time. 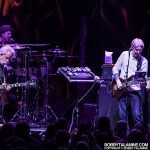 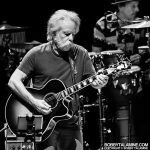 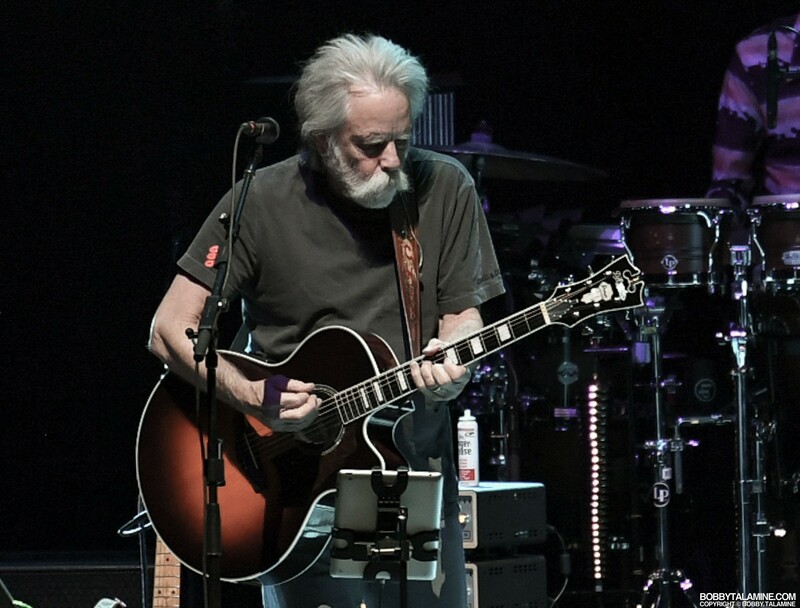 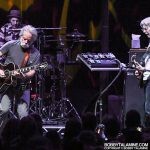 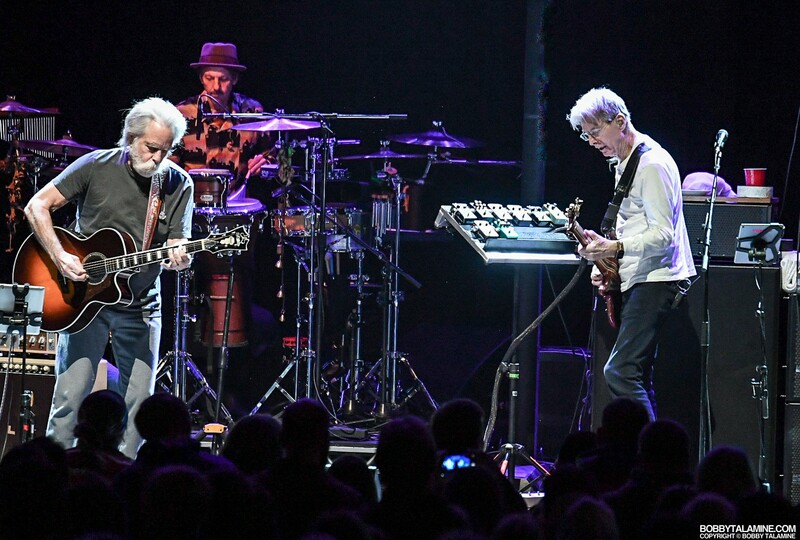 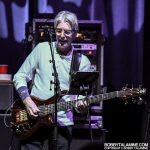 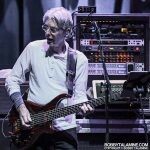 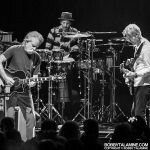 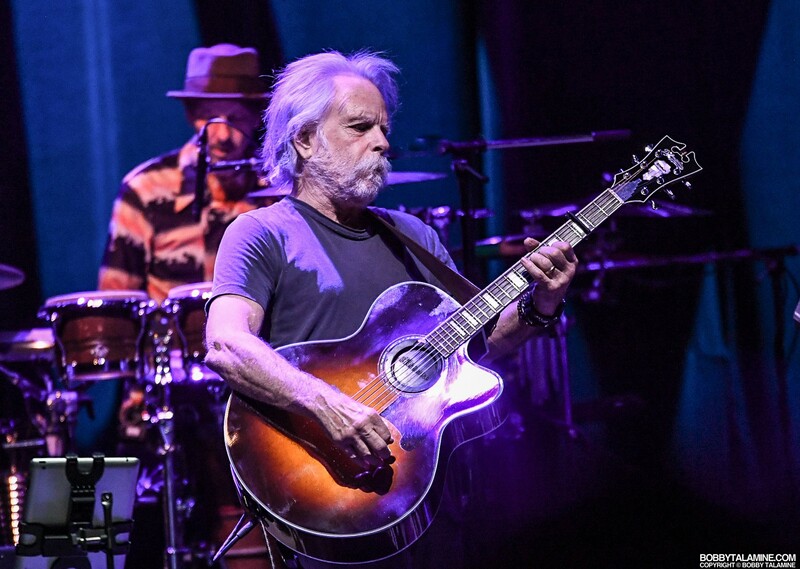 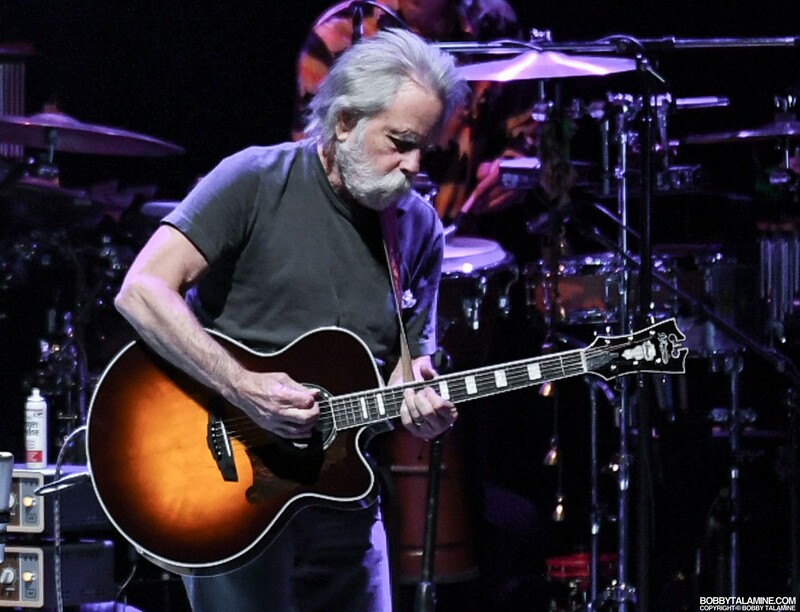 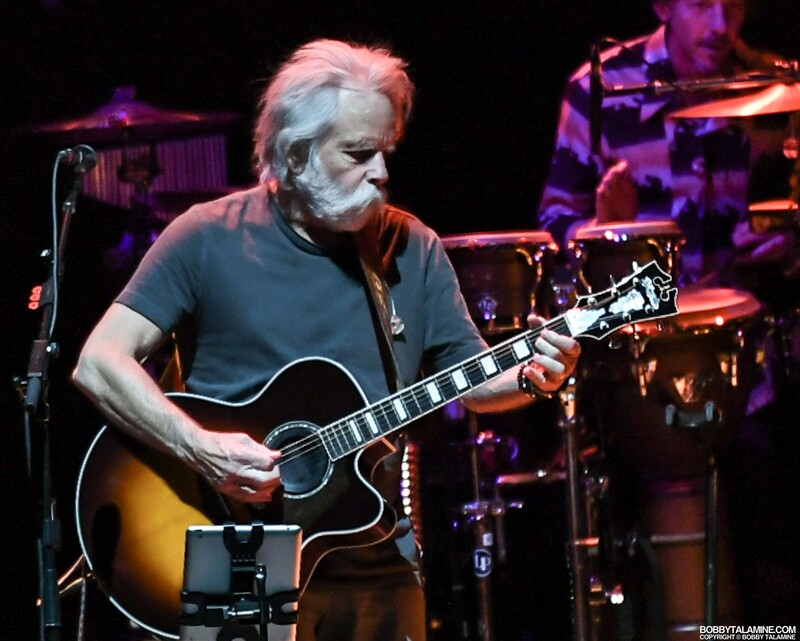 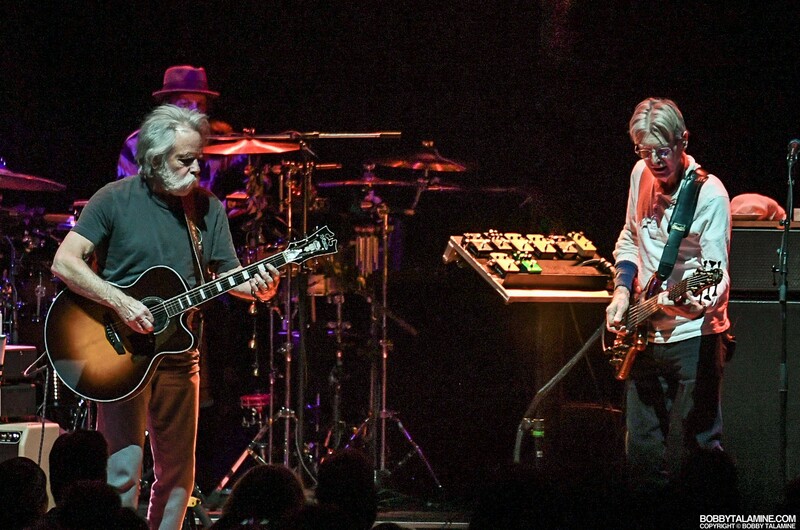 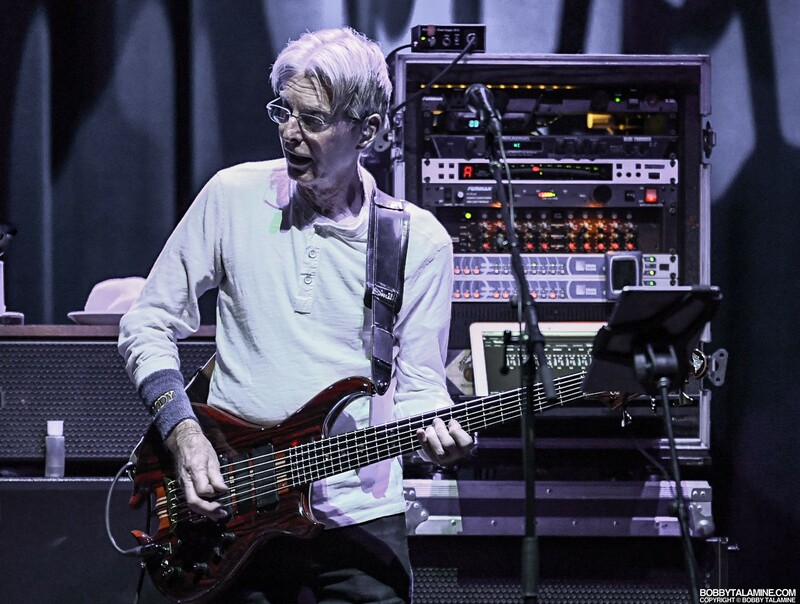 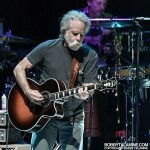 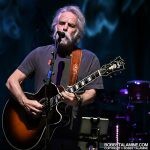 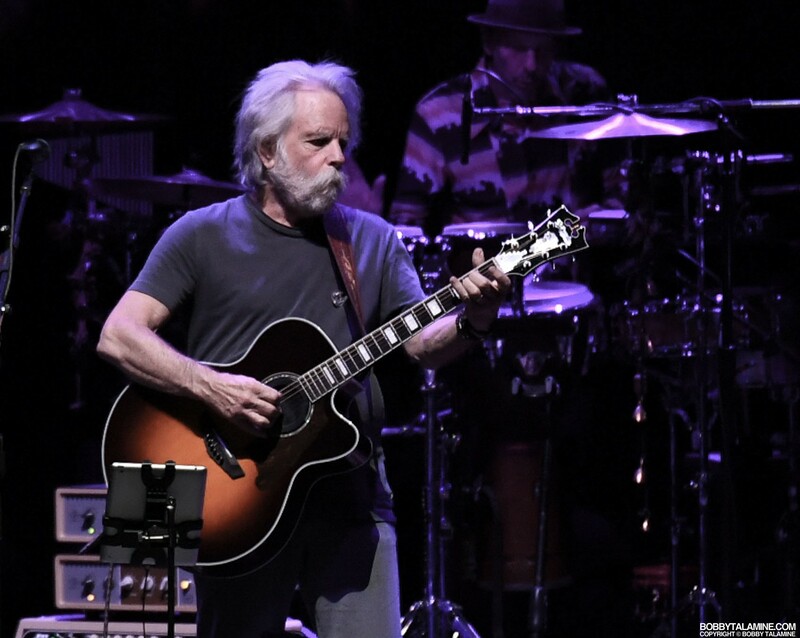 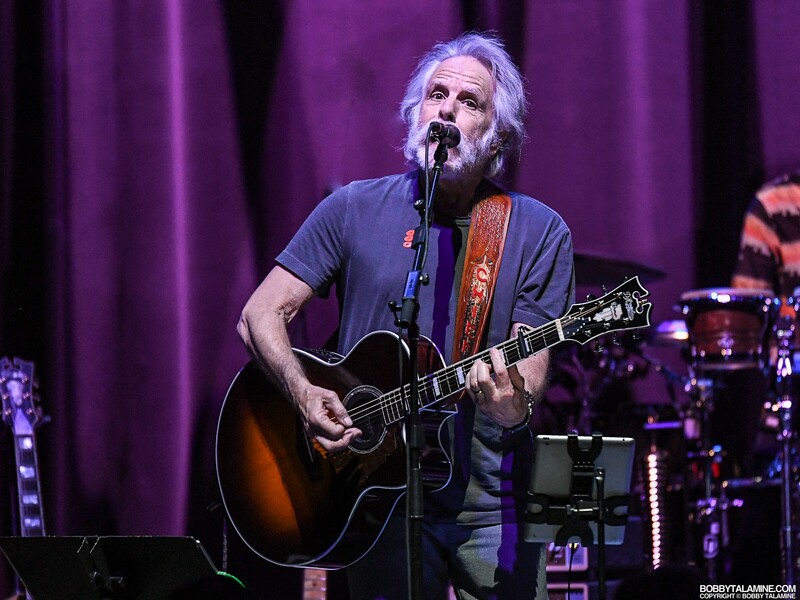 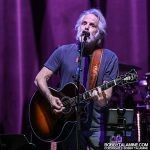 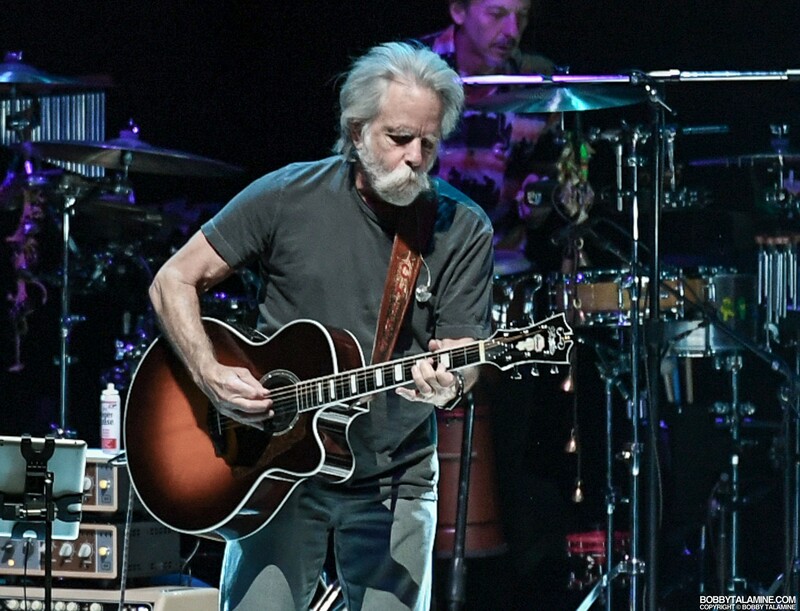 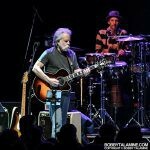 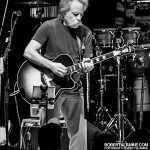 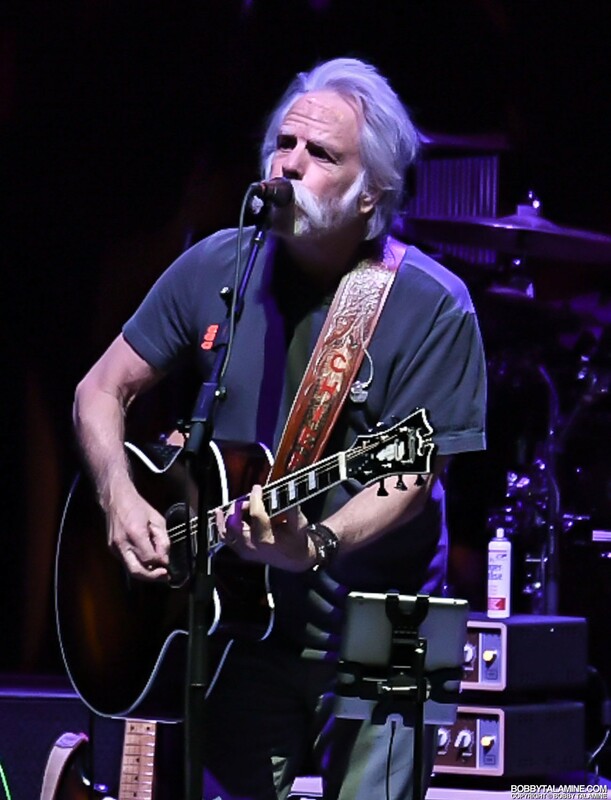 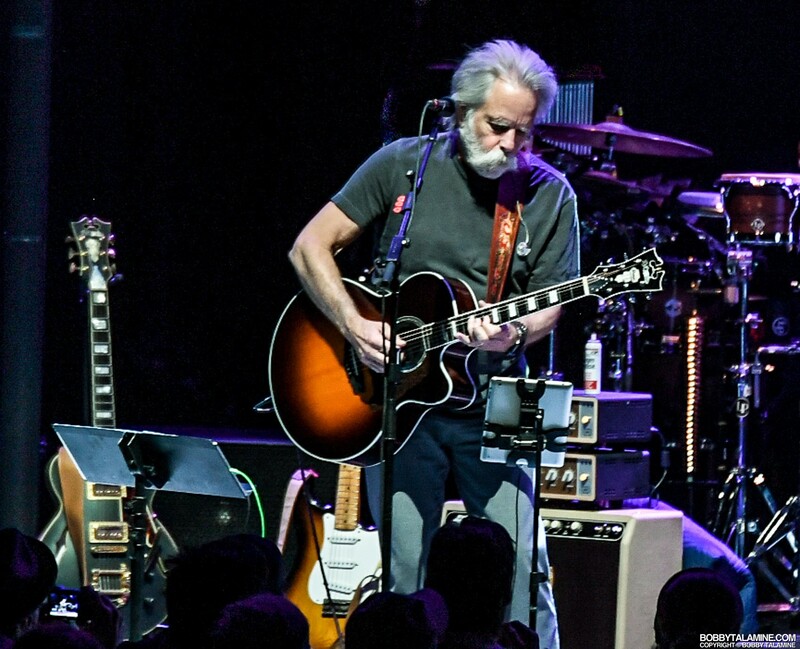 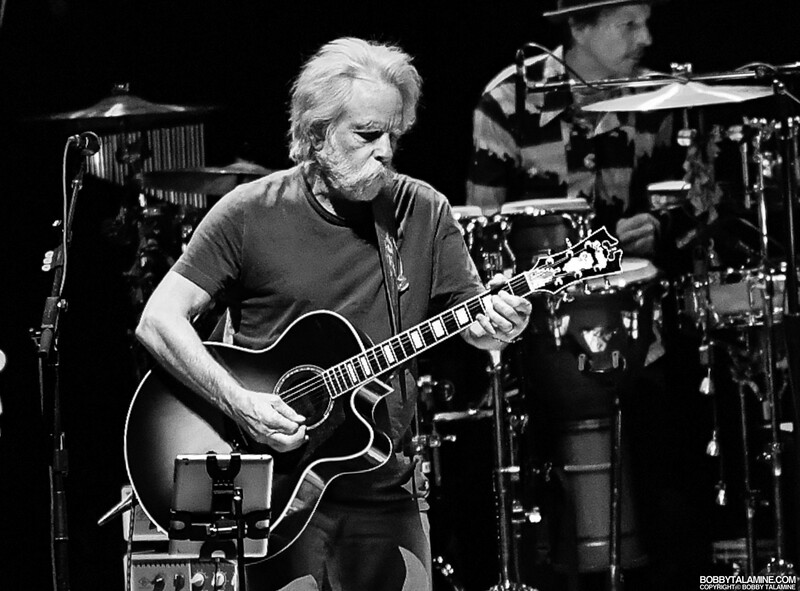 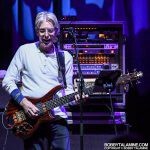 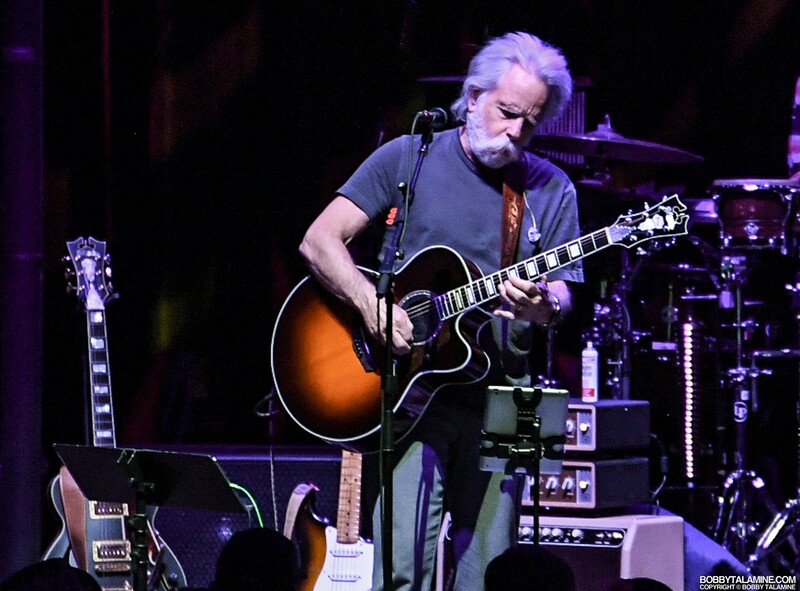 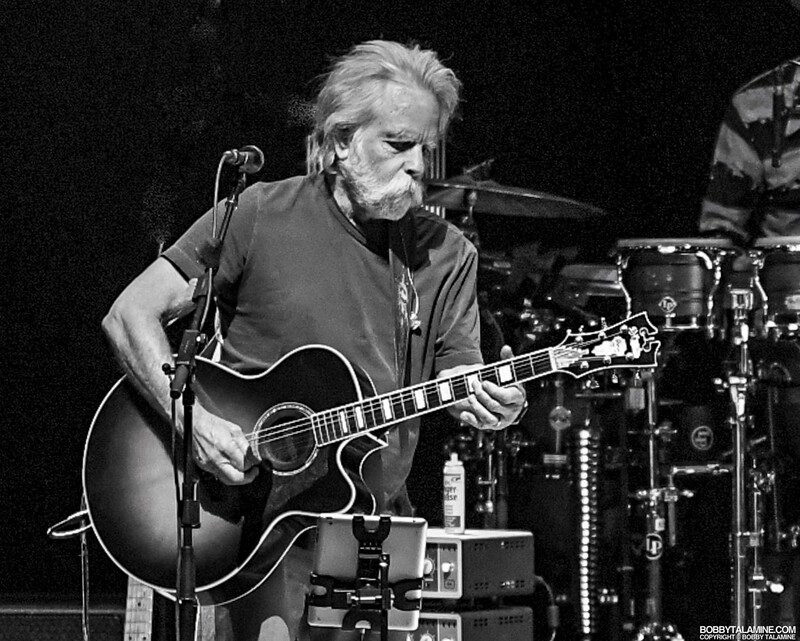 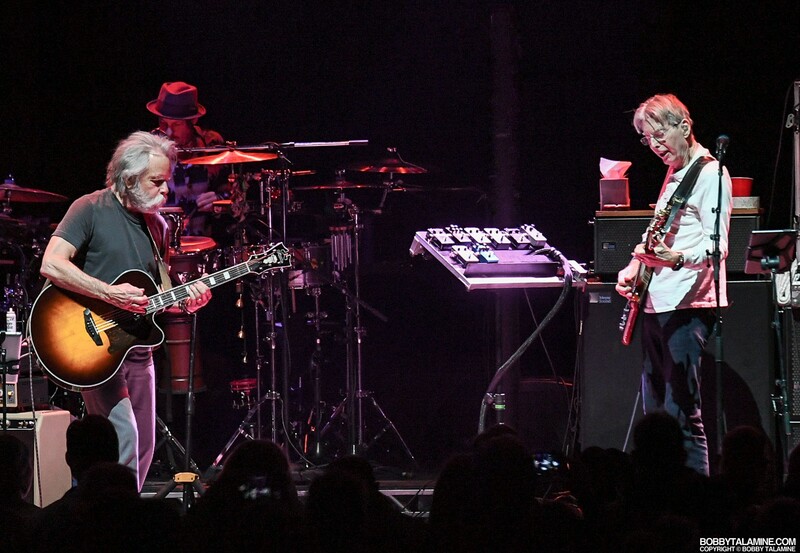 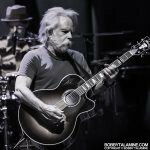 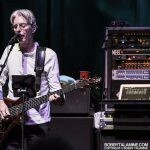 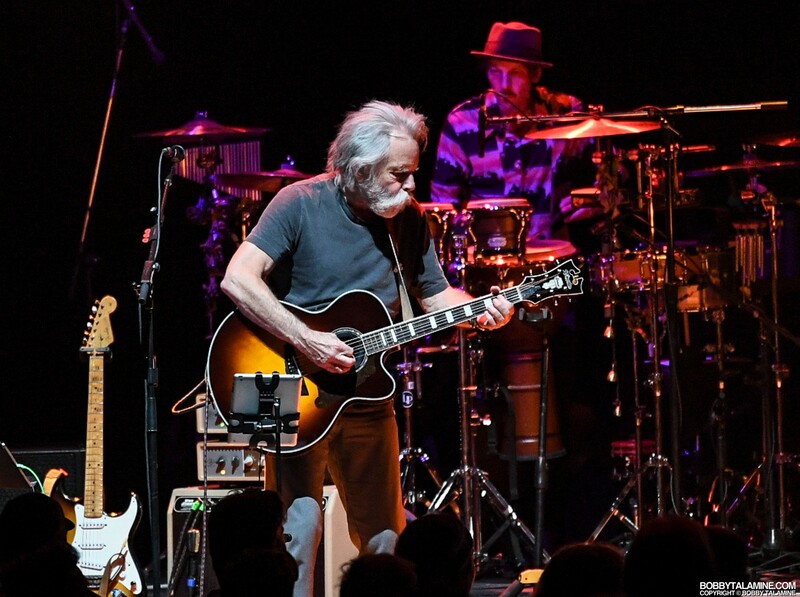 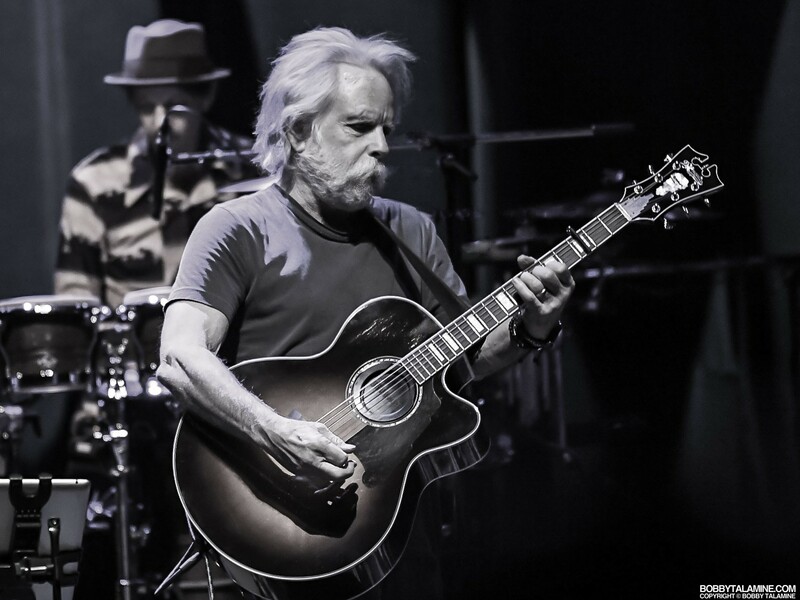 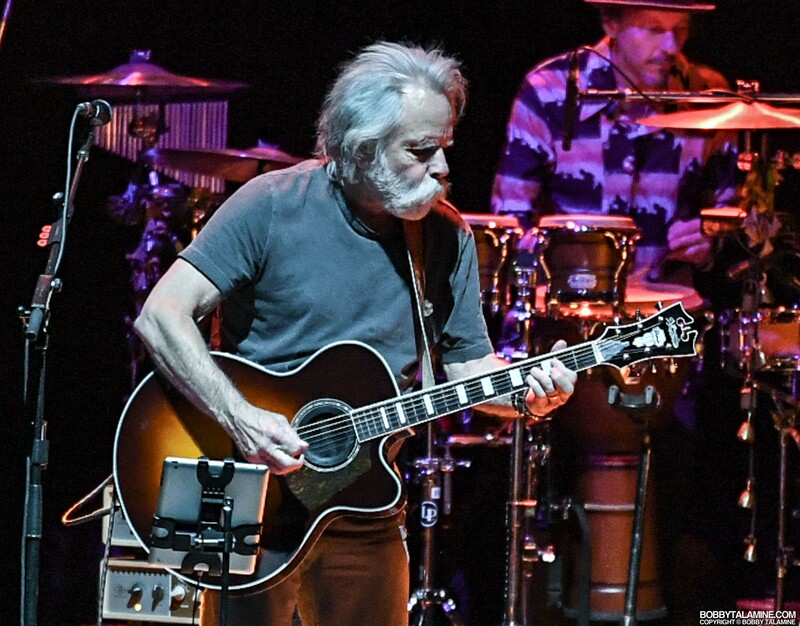 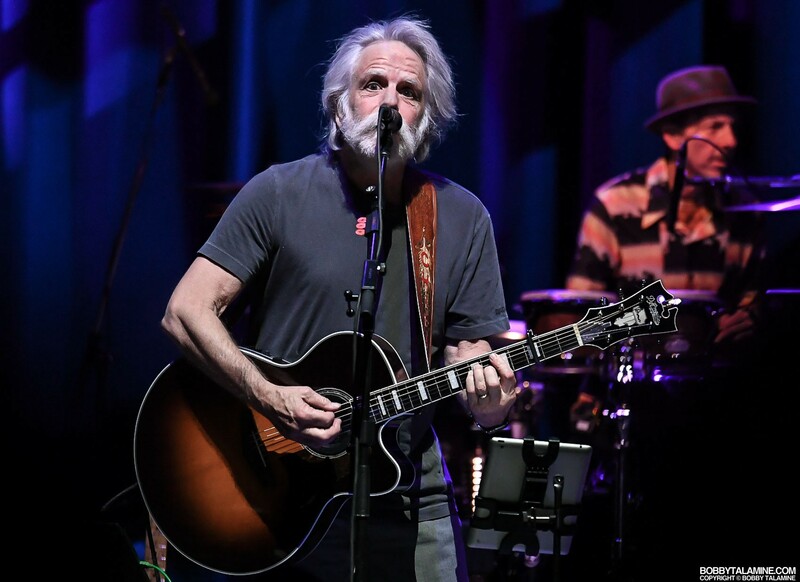 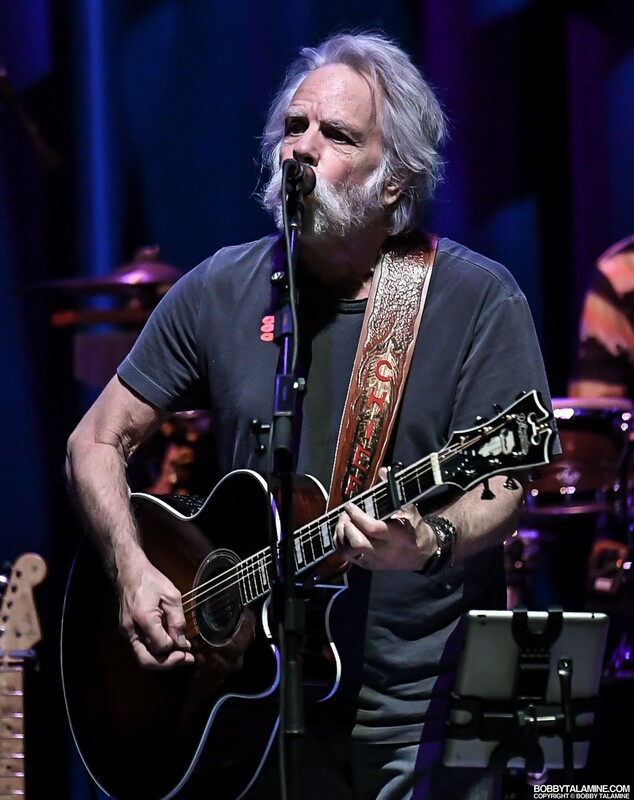 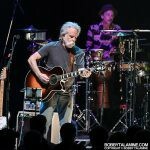 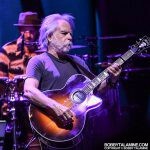 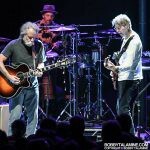 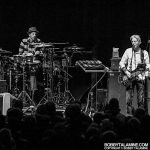 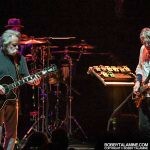 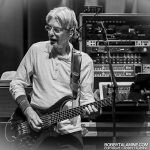 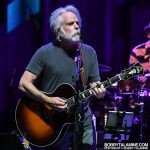 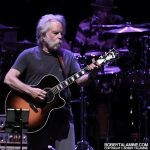 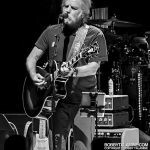 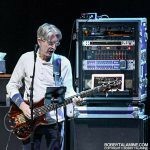 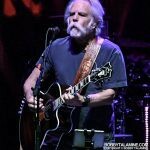 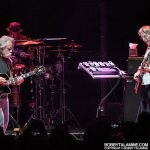 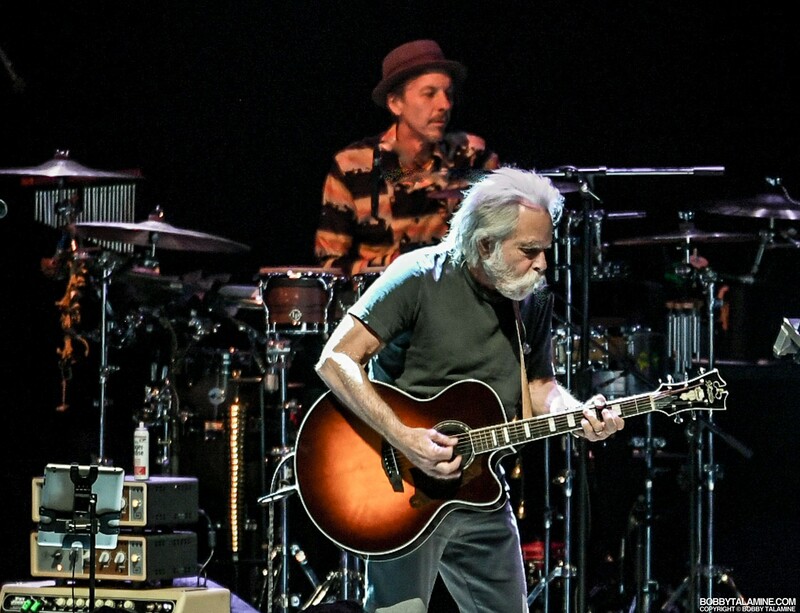 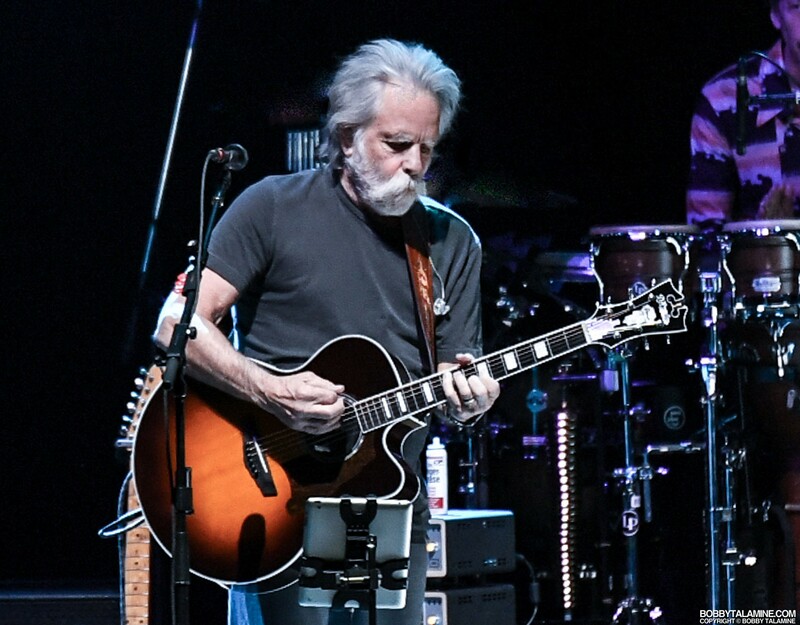 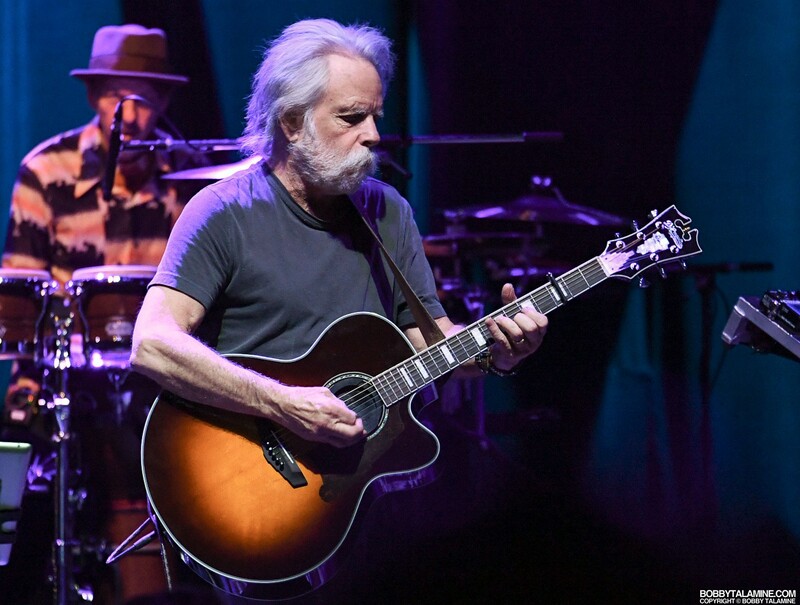 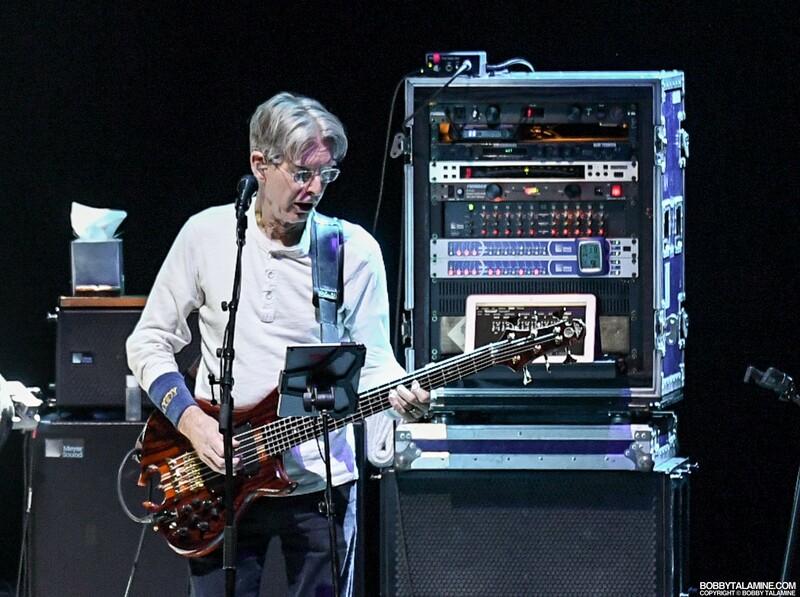 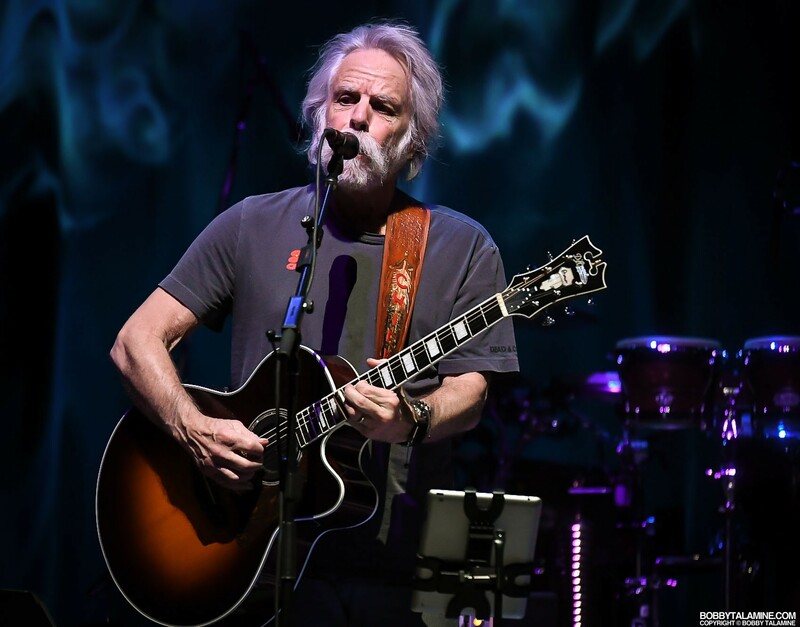 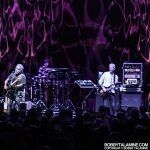 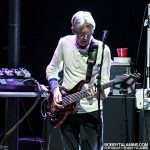 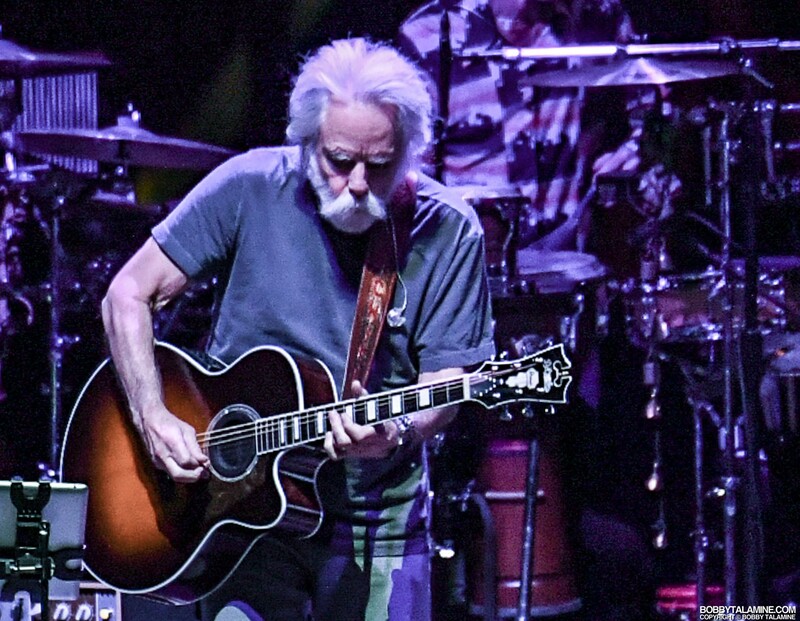 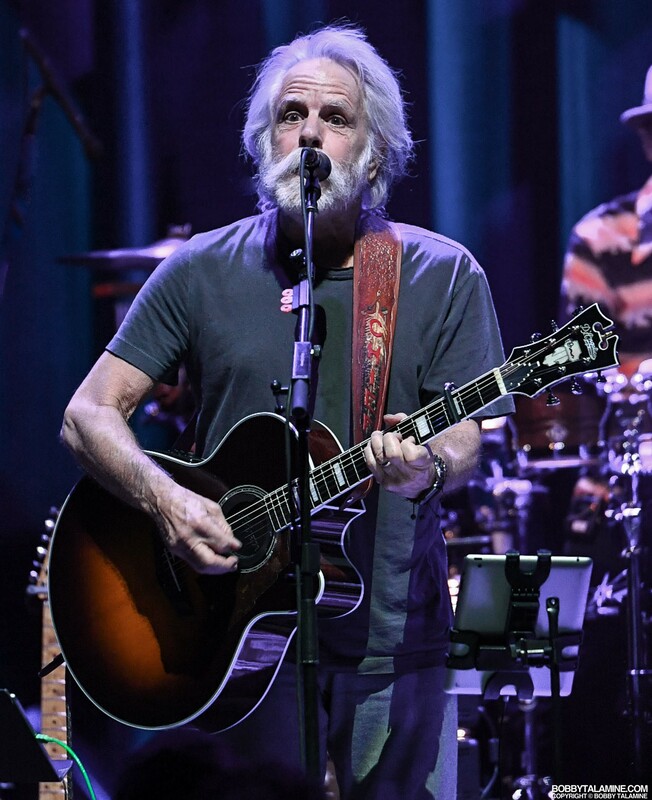 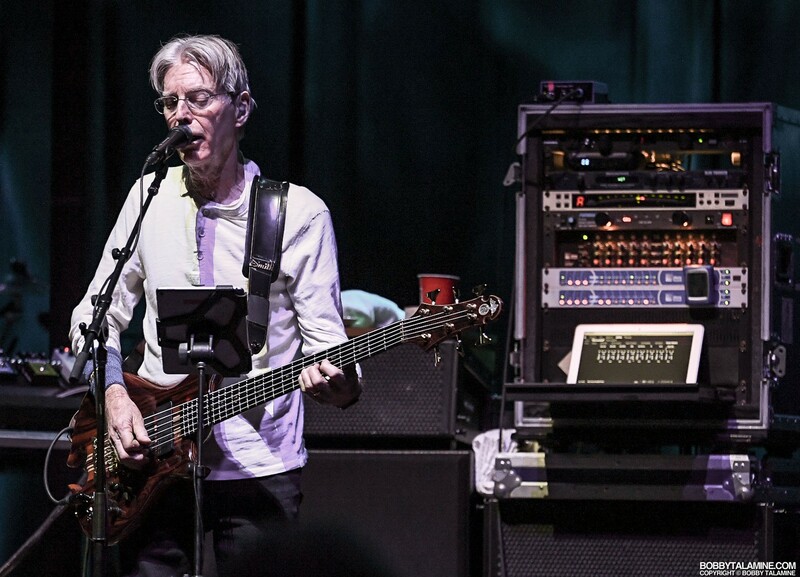 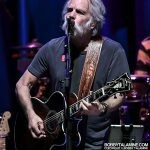 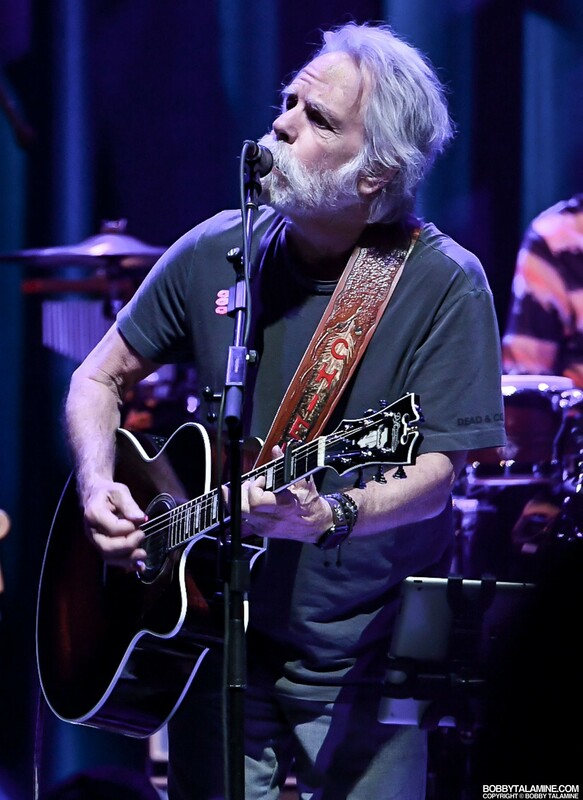 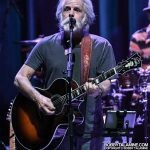 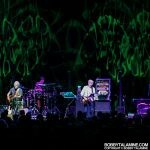 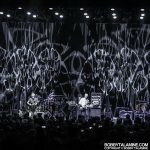 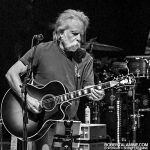 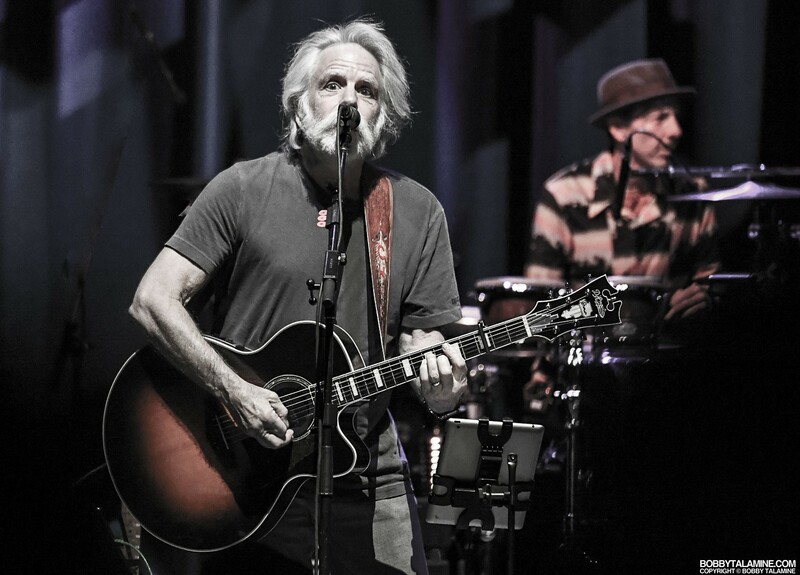 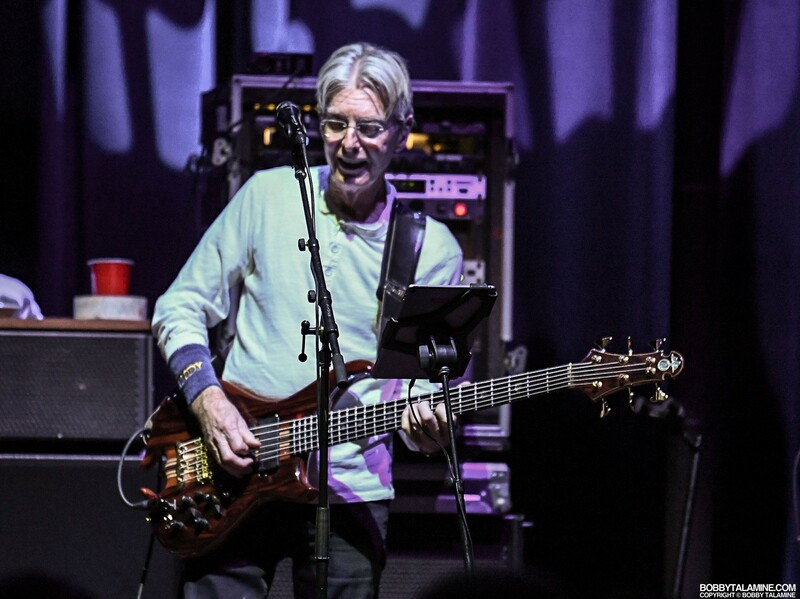 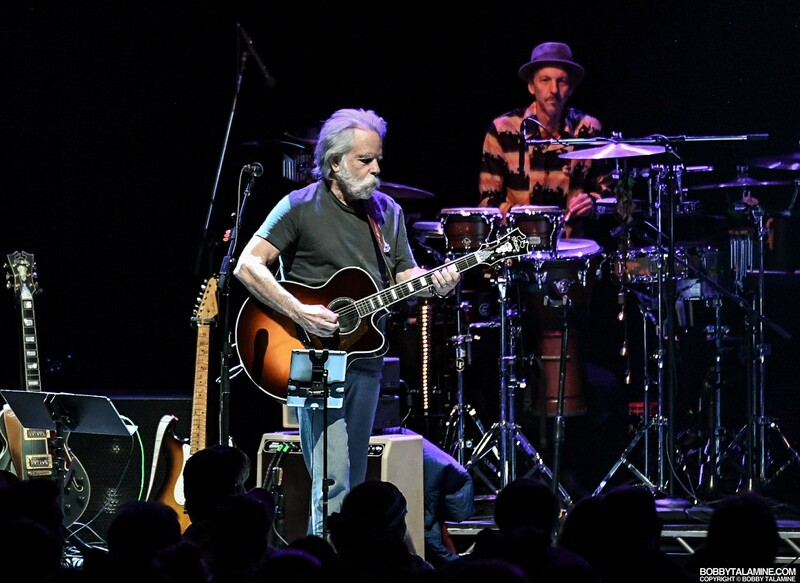 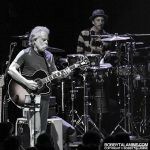 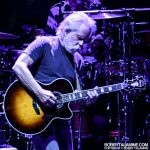 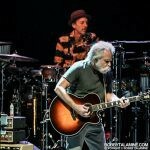 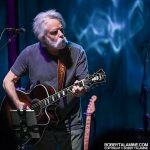 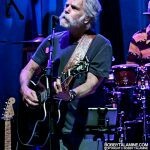 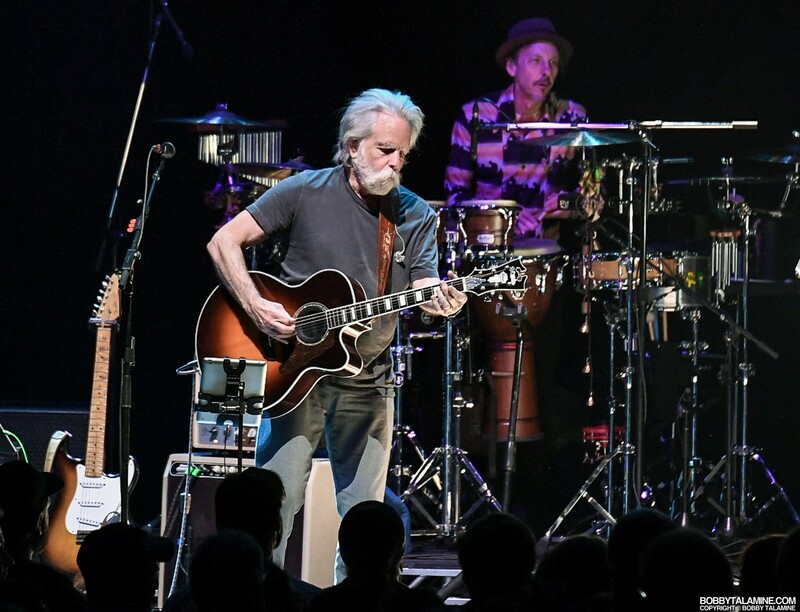 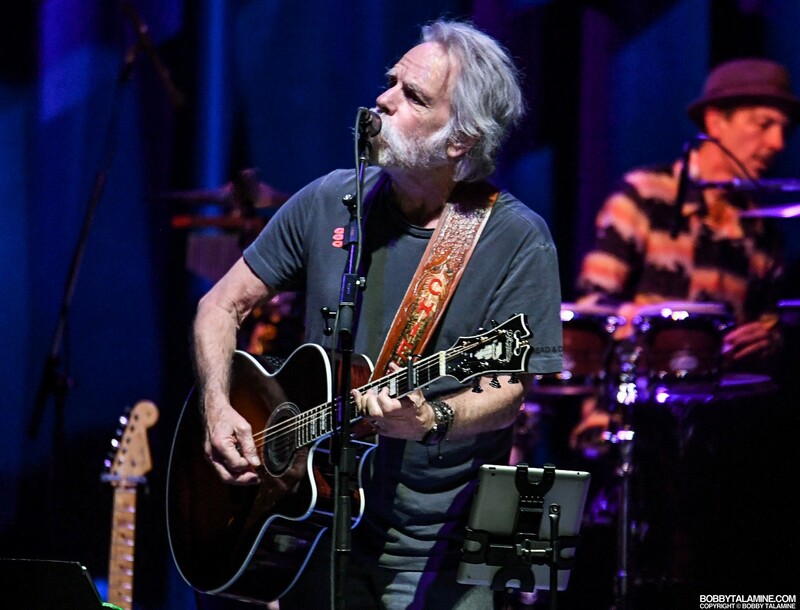 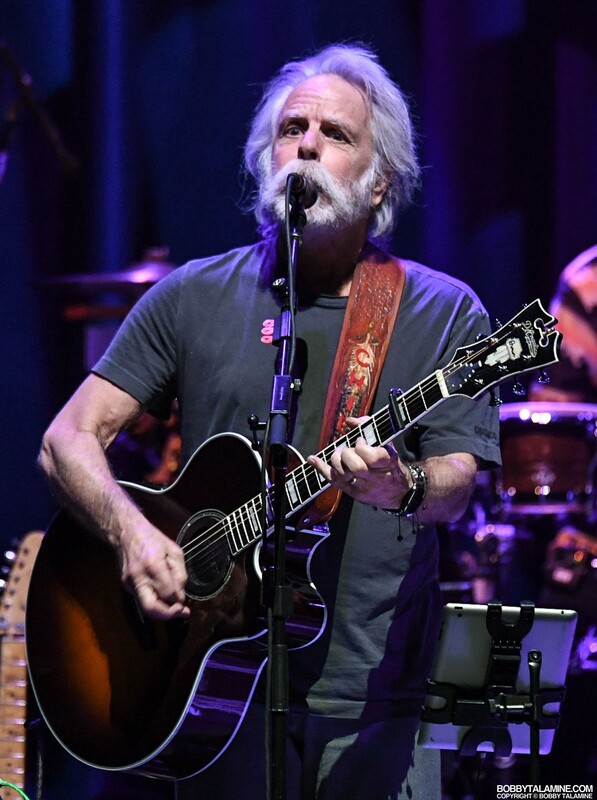 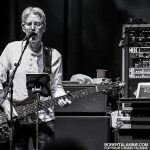 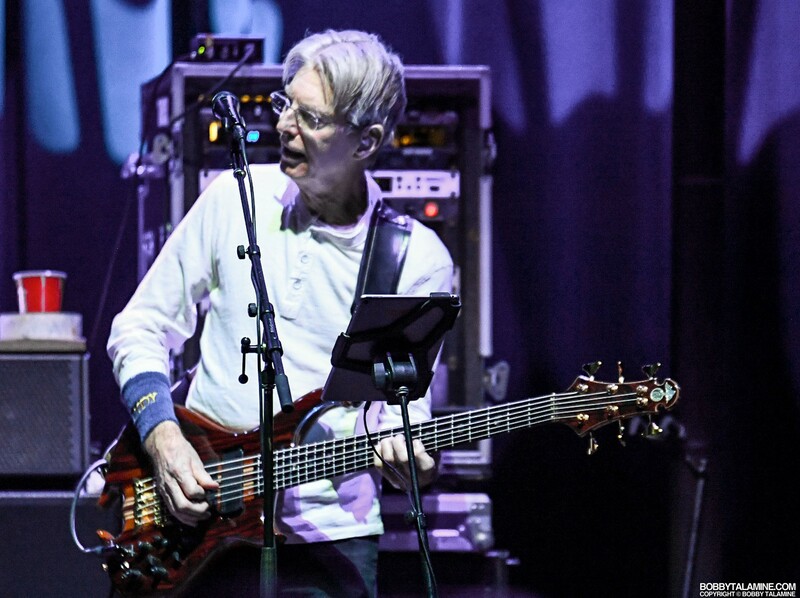 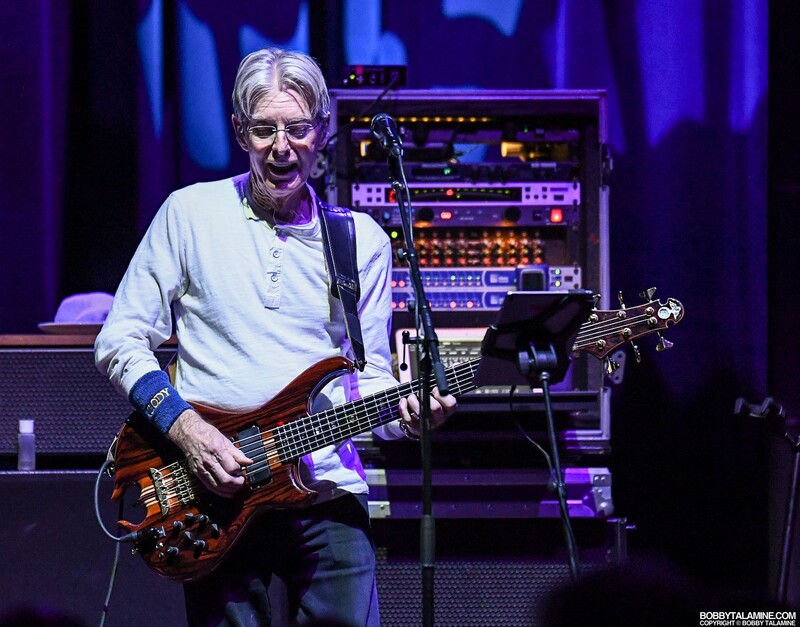 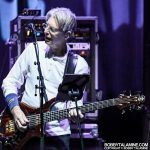 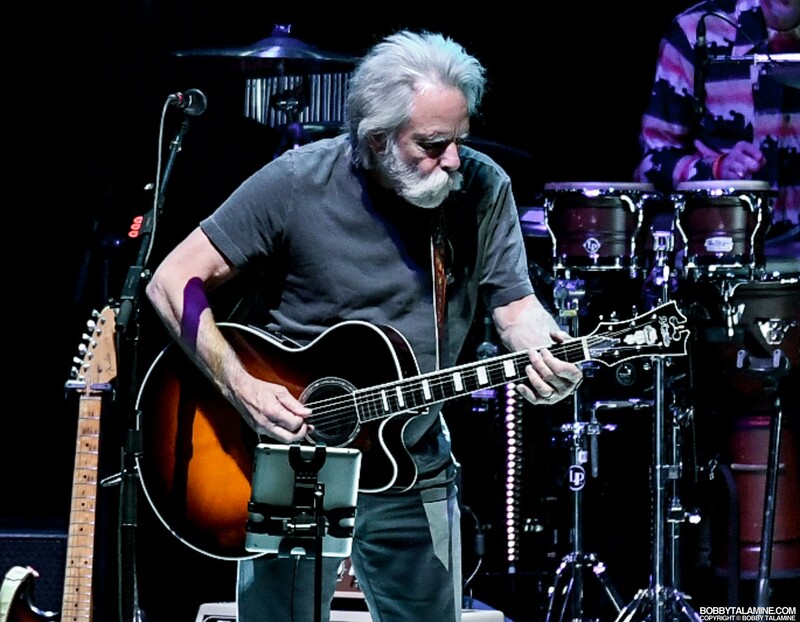 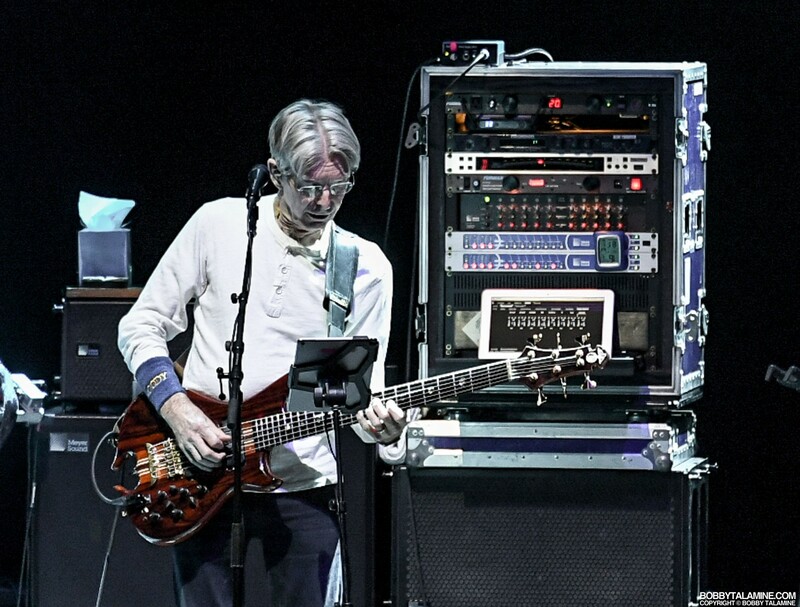 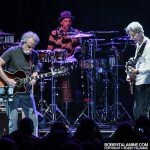 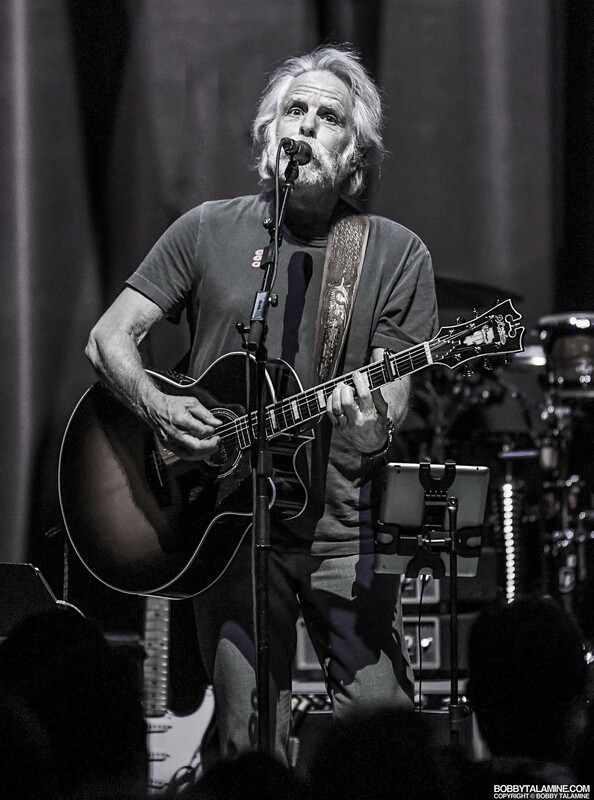 After over five decades of making and playing music together, Bob Weir and Phil Lesh hit the road together for a few dates to perform as a duo for the first time ever, performing back to back sets of both acoustic and electric versions of Grateful Dead classics. 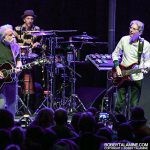 it’s a short run of dates- three to be exact, with multiple stops in all three cities of choice. 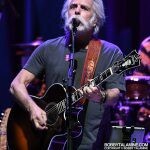 The Bobby and Phil Tour made its last stop at the one and only Chicago Theatre, and I happened to cover the last night of the tour on Sunday the 11th of March, for the Chicago Reader. 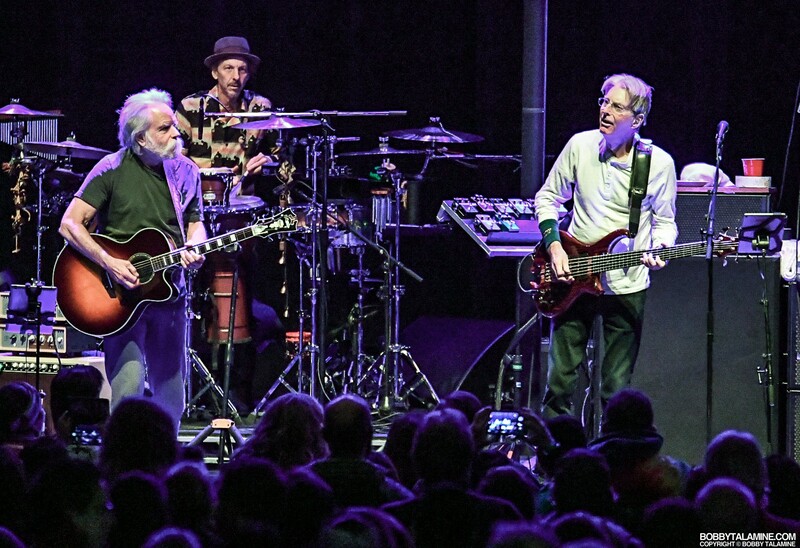 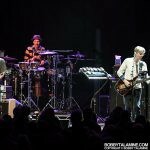 In classic Grateful Dead fashion, the sets moved between magical and loose improvisation, never losing their sense of commitment to the heart and soul of whatever song was up for the moment. 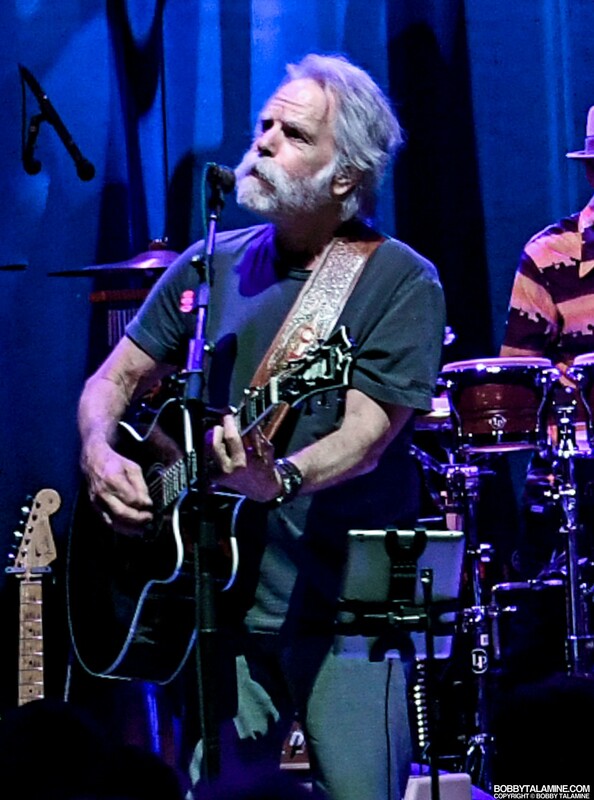 Look – we all know that the Dead’s music has always been groove – happy and hippie dippy fun. 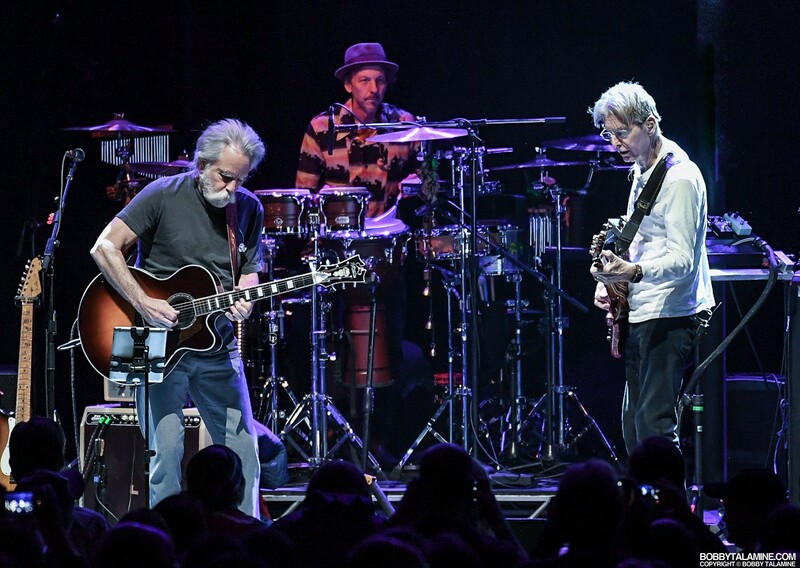 After all, the Dead in essence always have been a sit around the campfire jug music kinda band, for lack of a better term- and they are the Godfathers of this unique brand of American music. 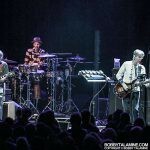 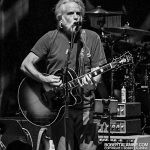 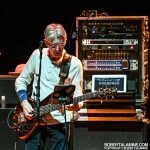 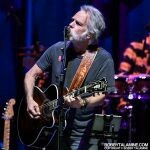 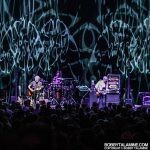 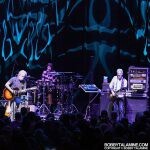 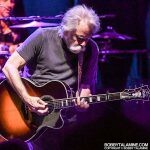 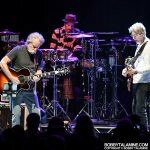 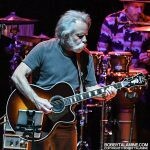 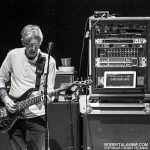 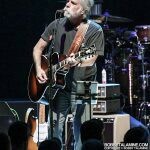 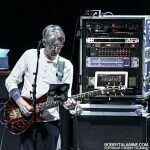 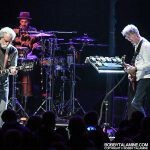 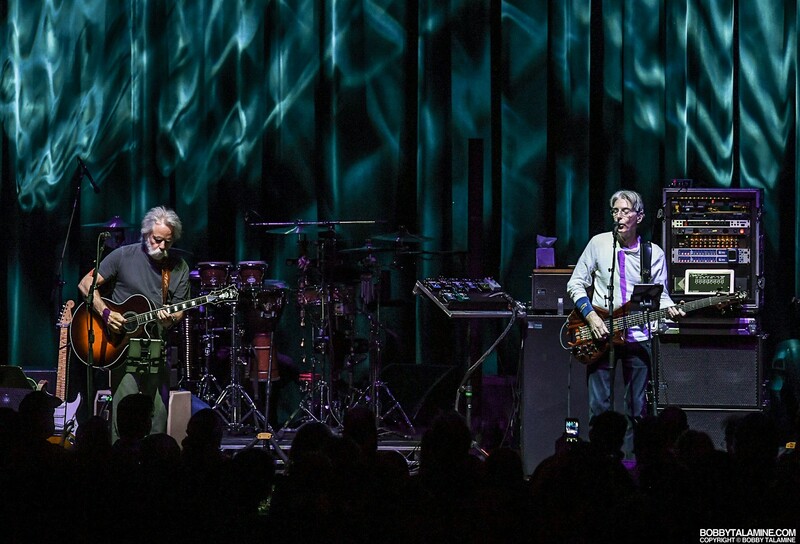 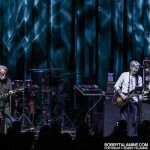 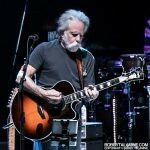 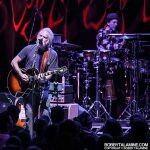 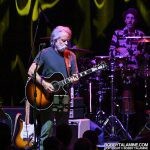 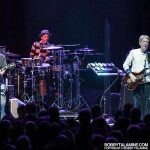 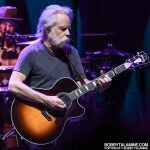 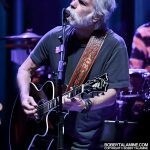 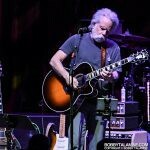 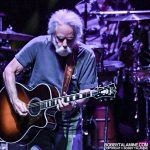 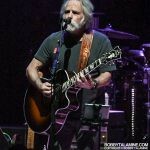 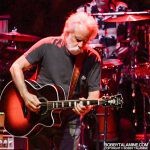 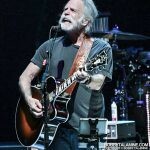 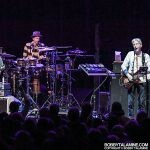 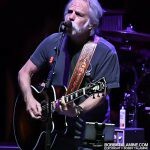 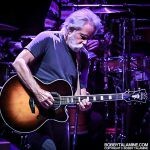 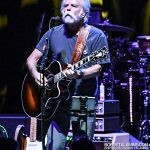 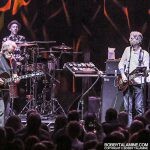 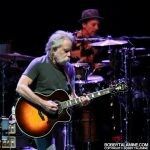 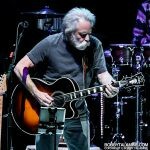 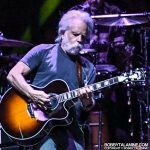 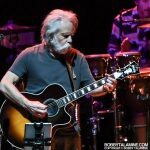 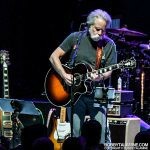 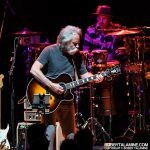 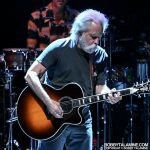 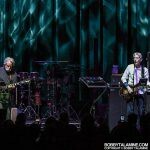 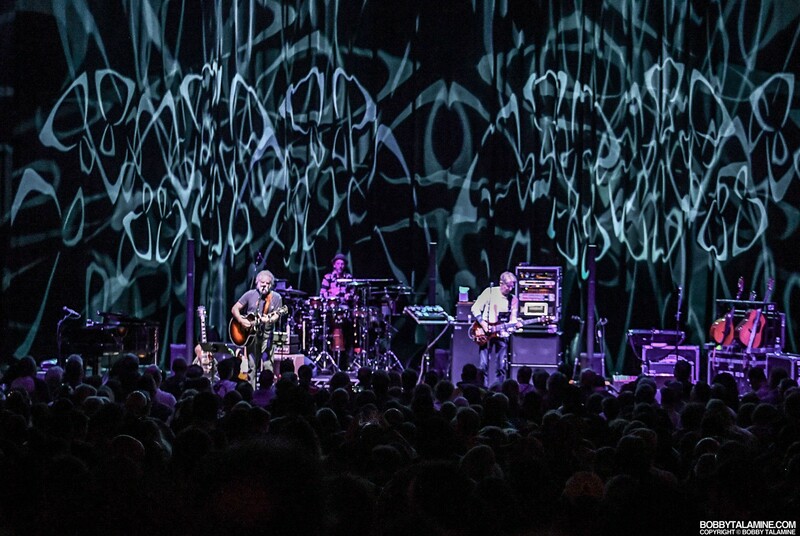 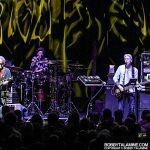 Since Jerry Garcia’s death in 1995, members of the Dead have played together and apart in a multitude of formats with a never ending succession of substitutes and add ons, each version depicting where they were at whatever time they thought of playing together- and making sure the music would be played righteous and with heart. 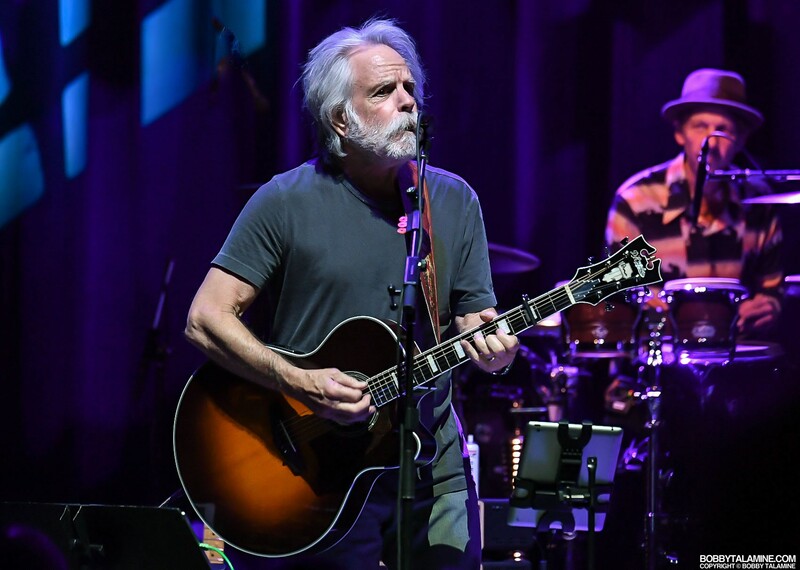 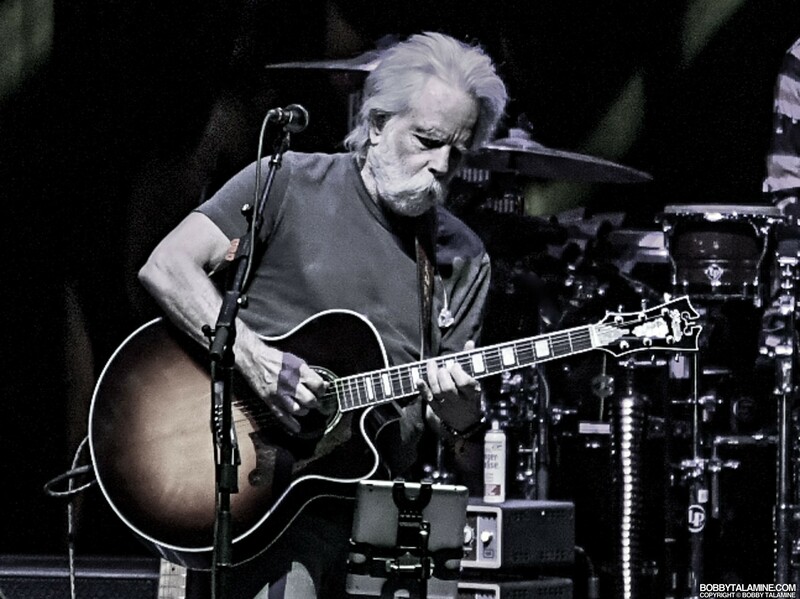 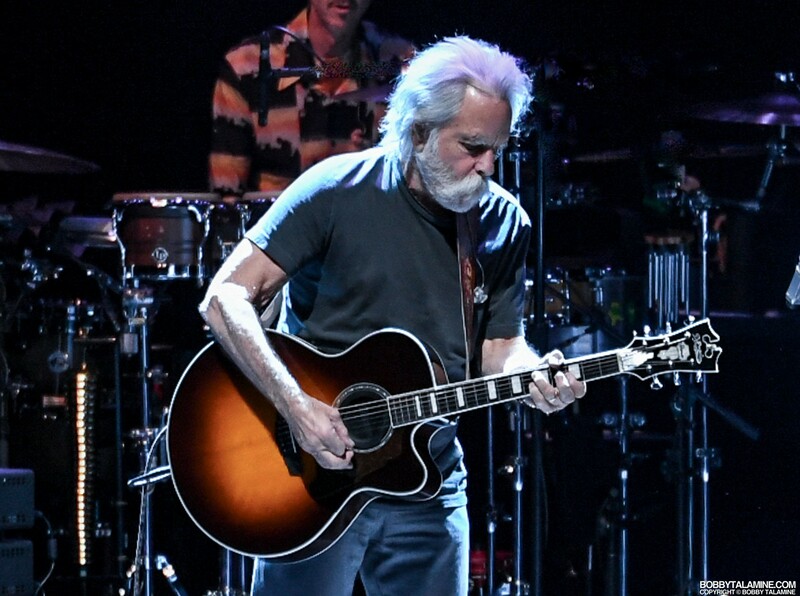 This stripped down version of the Dead is equal to that similar task, just with a more laid back and mellow view of things, if that is possible. 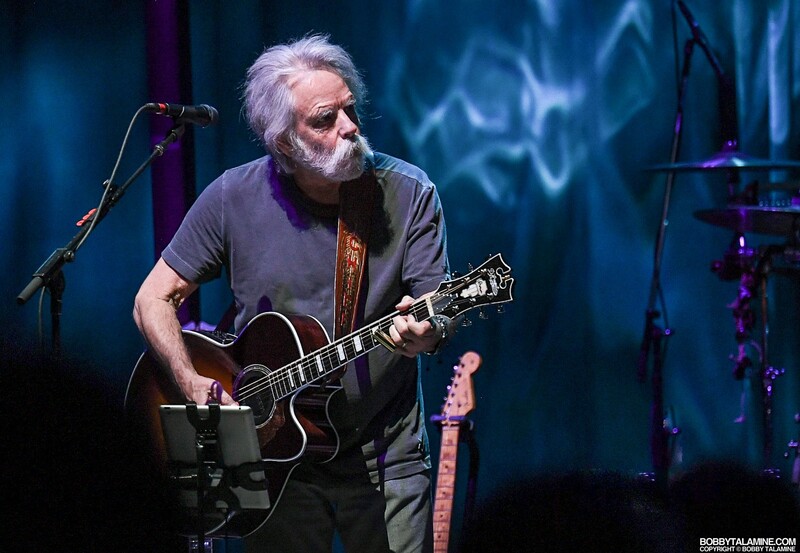 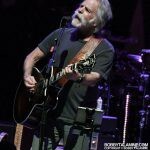 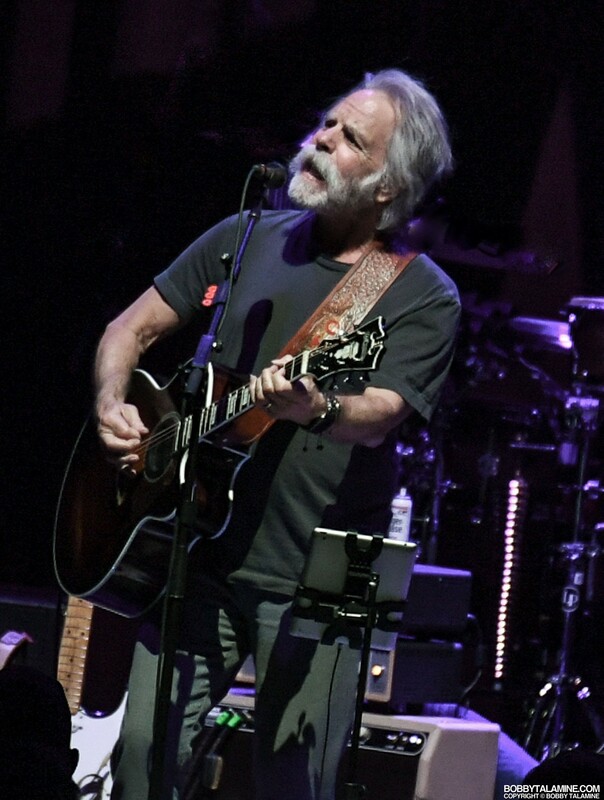 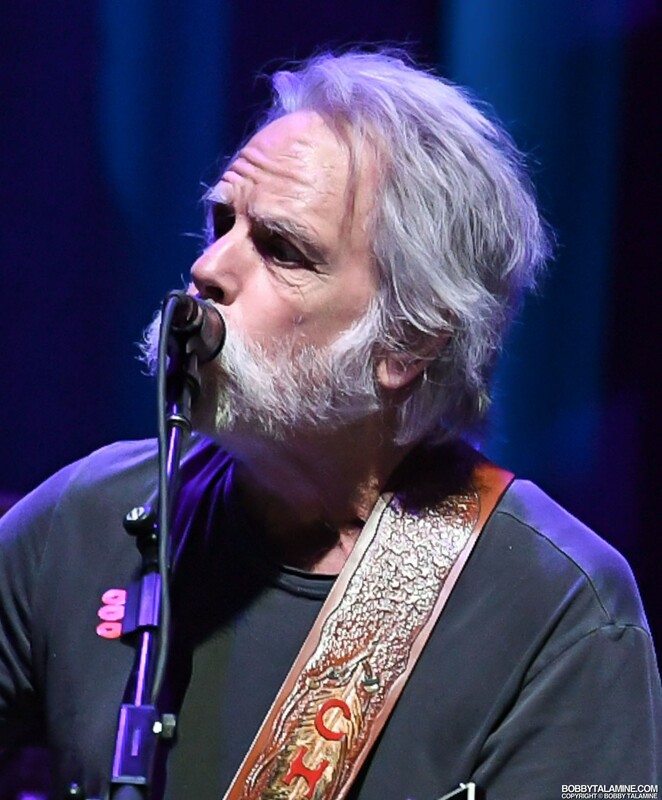 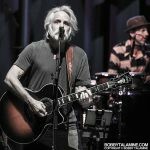 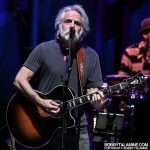 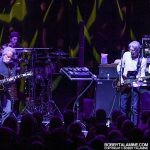 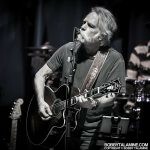 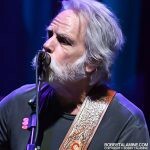 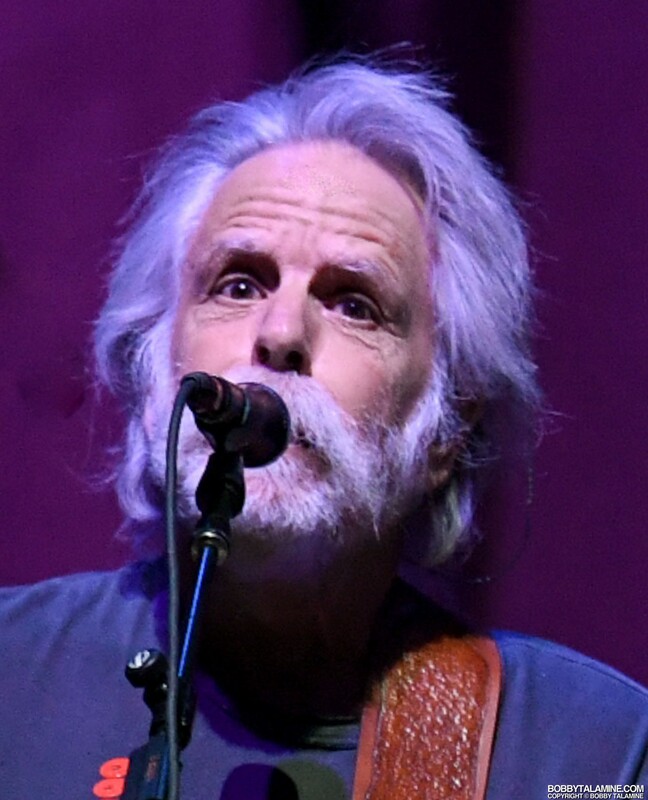 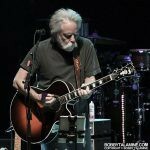 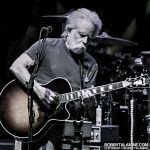 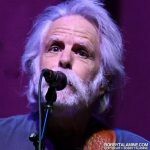 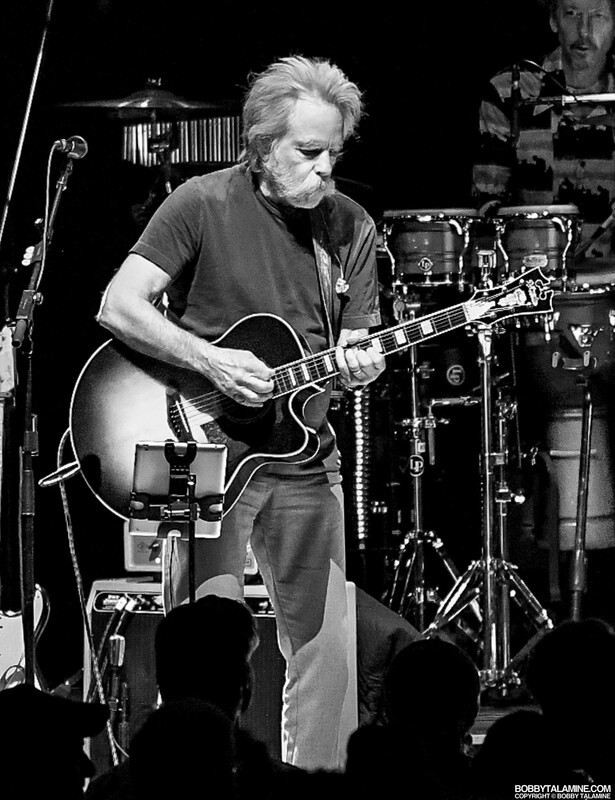 Bob Weir and Phil Lesh made a music that sounded spare and free, and bordered on the spectral, uncluttered with outside voices, leaving listeners to dig deeper into the void of the songs, and yet retain the song’s elegance. 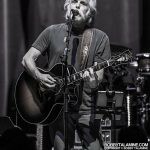 The crowd at the Chicago Theatre came prepared for this, as obvious before the doors opened to the venue, and the conversations I overheard from the fans waiting to go inside. 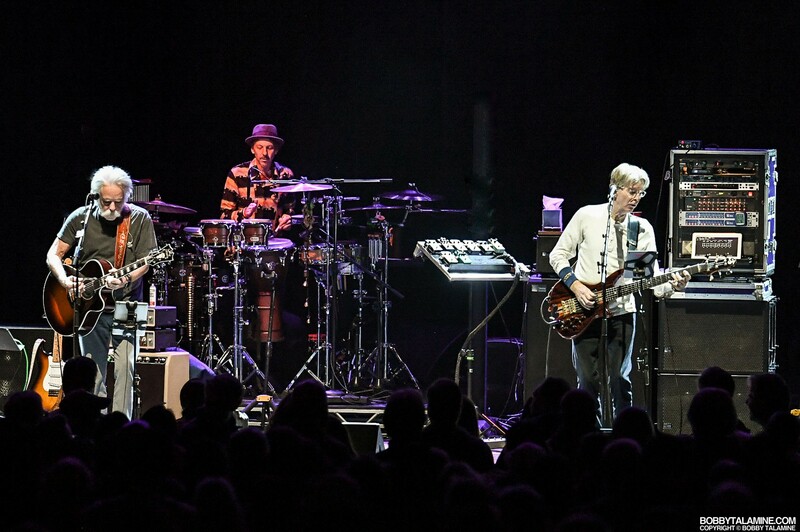 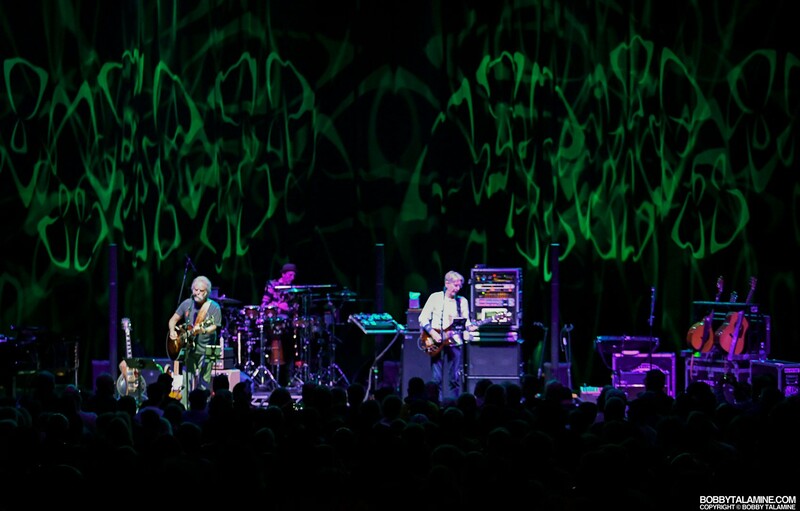 in essence, it was like a mini caravan tour from back in the days- a lot of the fans having crossed the country to make all three cities on this brief tour: New York, Boston and lastly, Chicago. 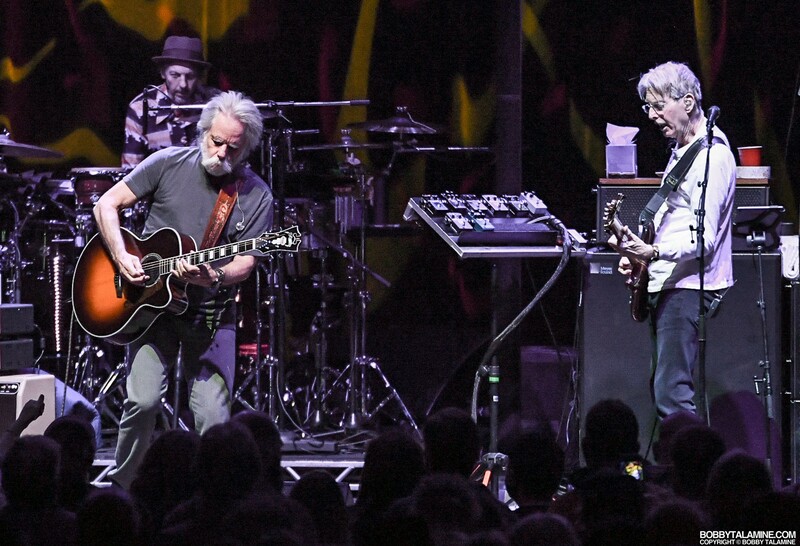 Just like the old Grateful Dead days, but on a smaller scale. 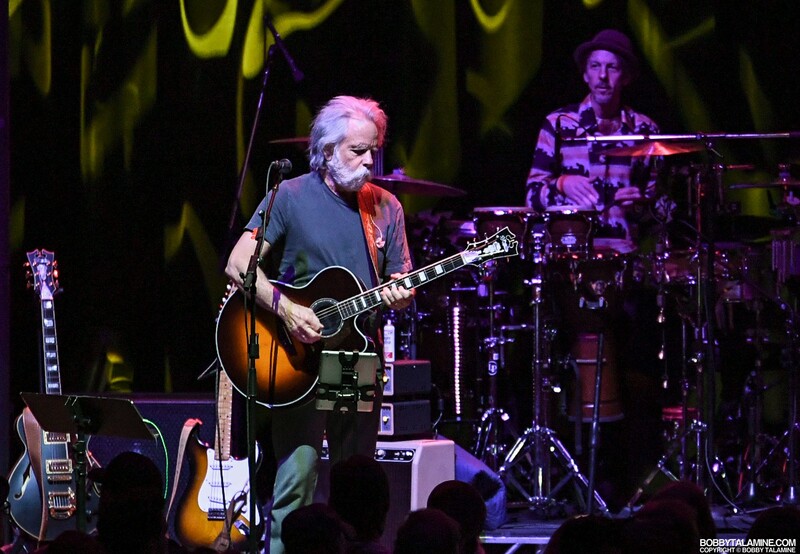 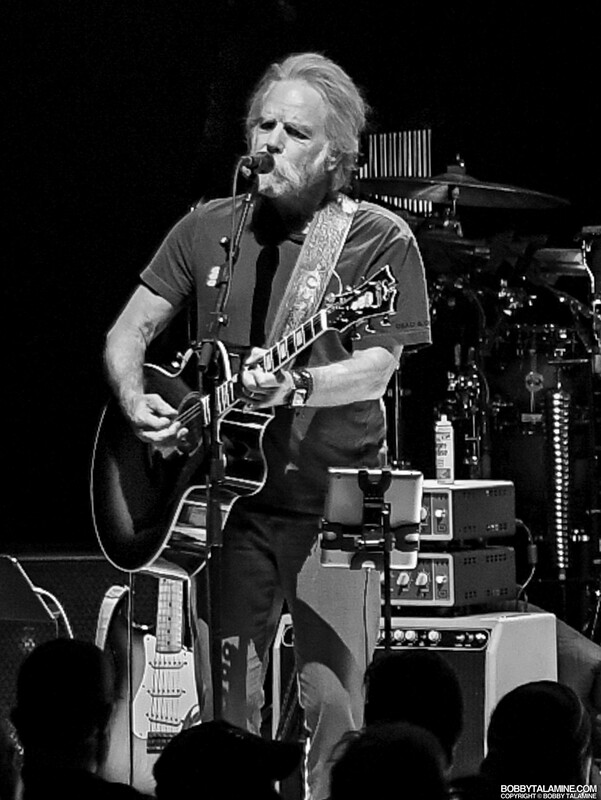 When Bob and Phil started the show with “Cumberland Blues”- halfway through the song the crowd was singing along to every word, emphasizing once again the hold that the Dead have on their devoted fans, and the spirit of all things happy joyous and free, with the occasional toke of whatever weed made it into the Chicago Theatre. 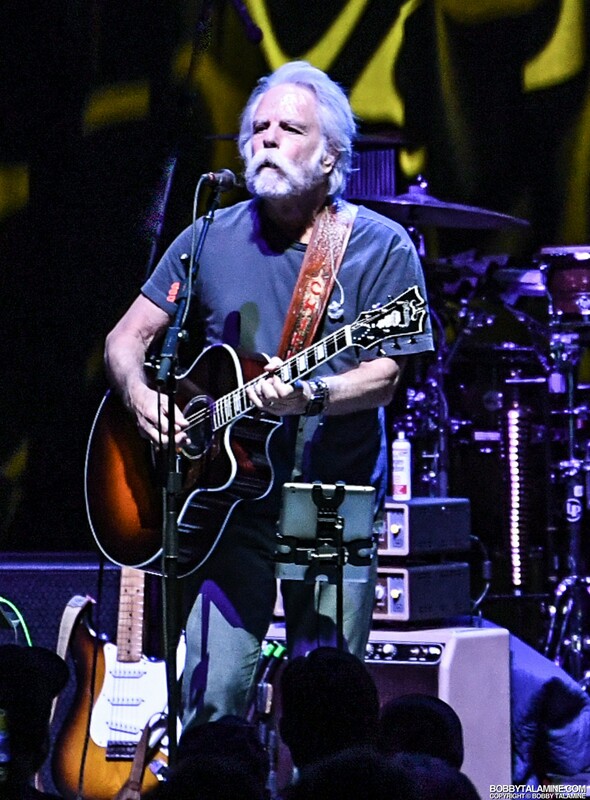 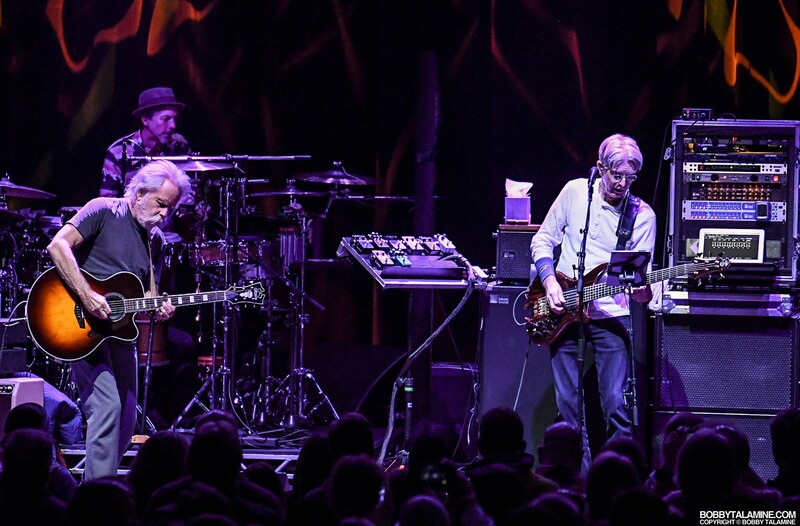 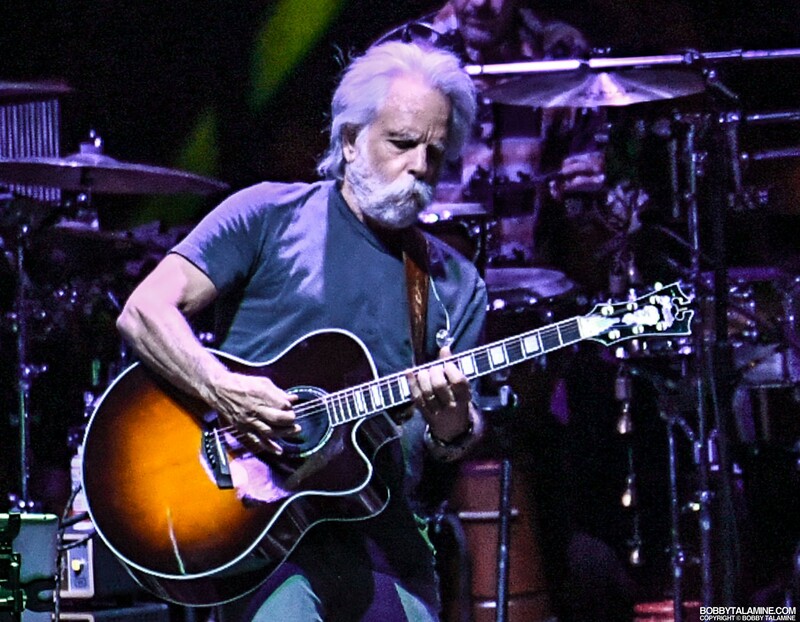 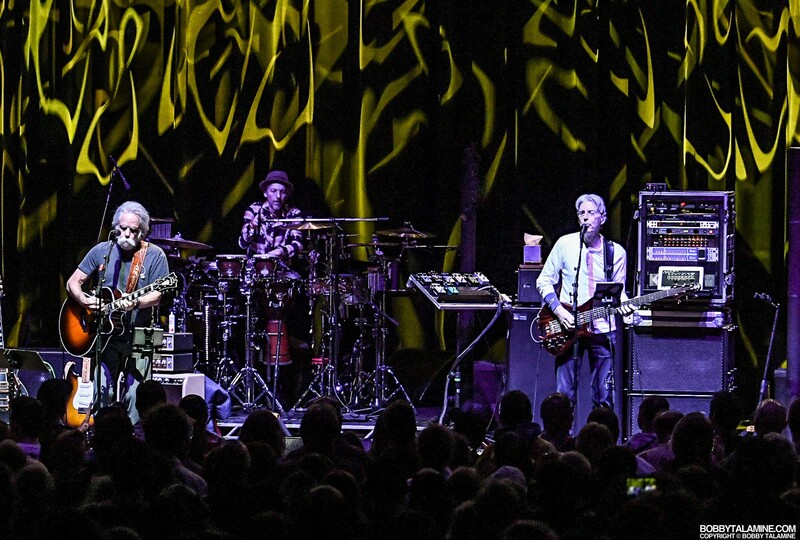 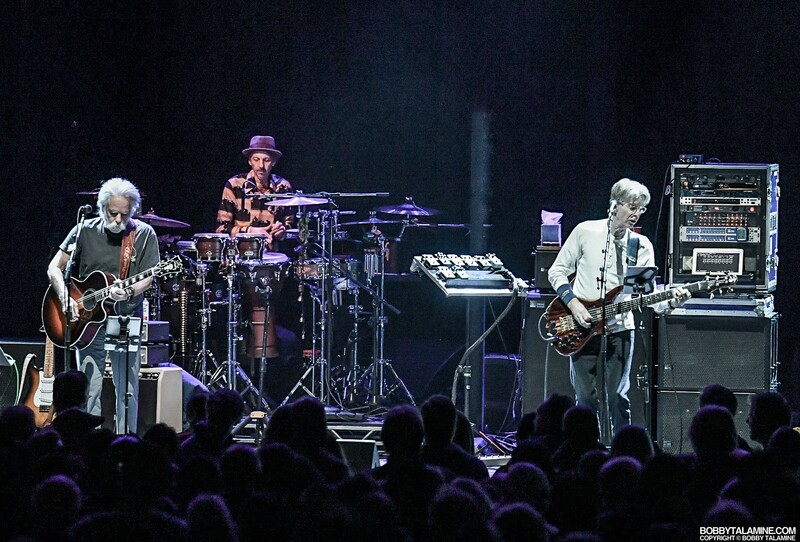 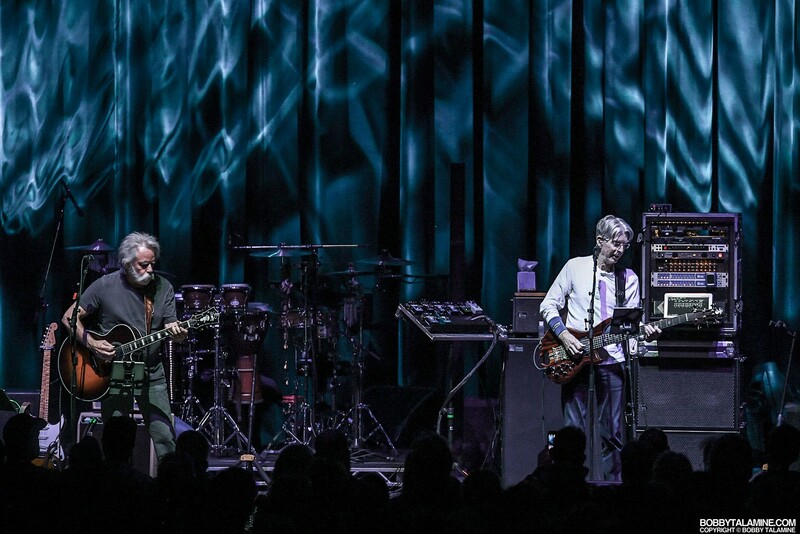 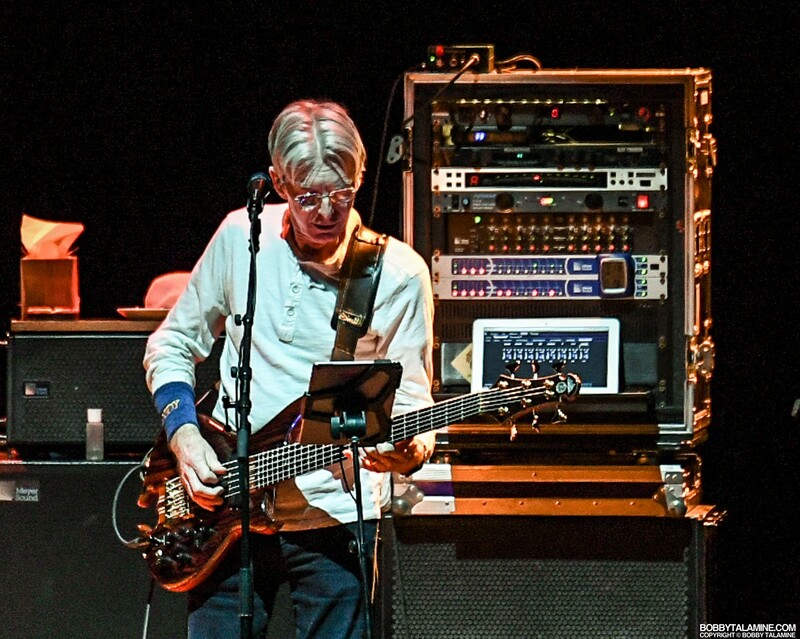 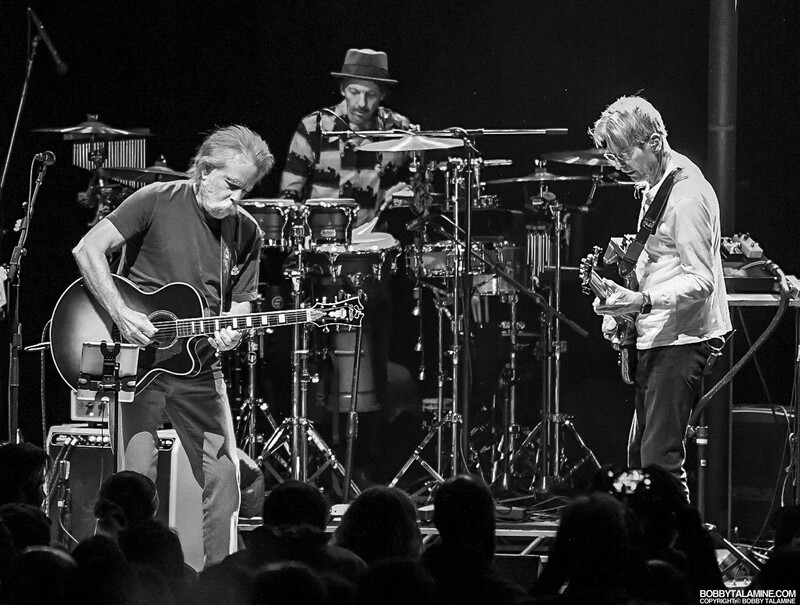 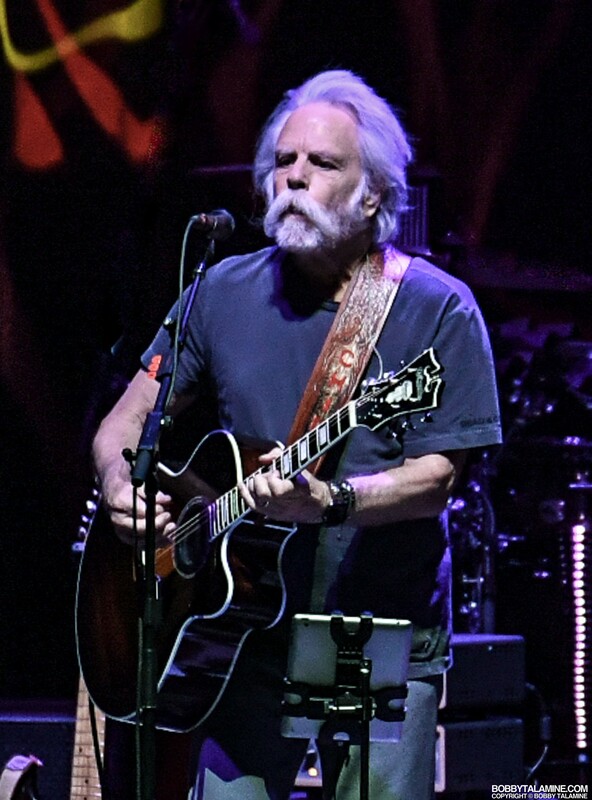 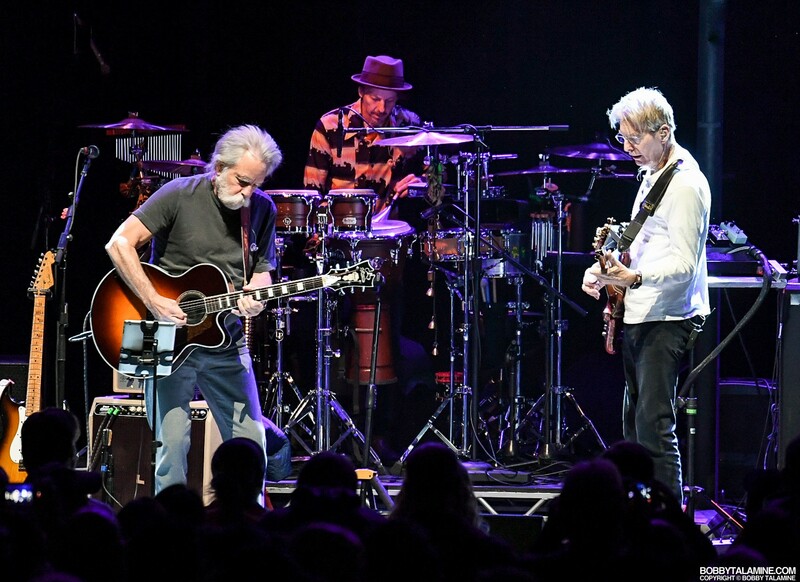 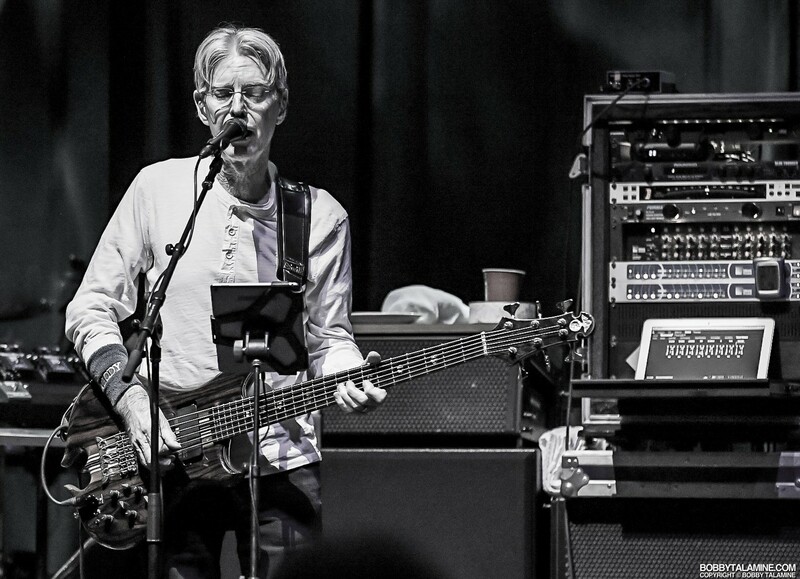 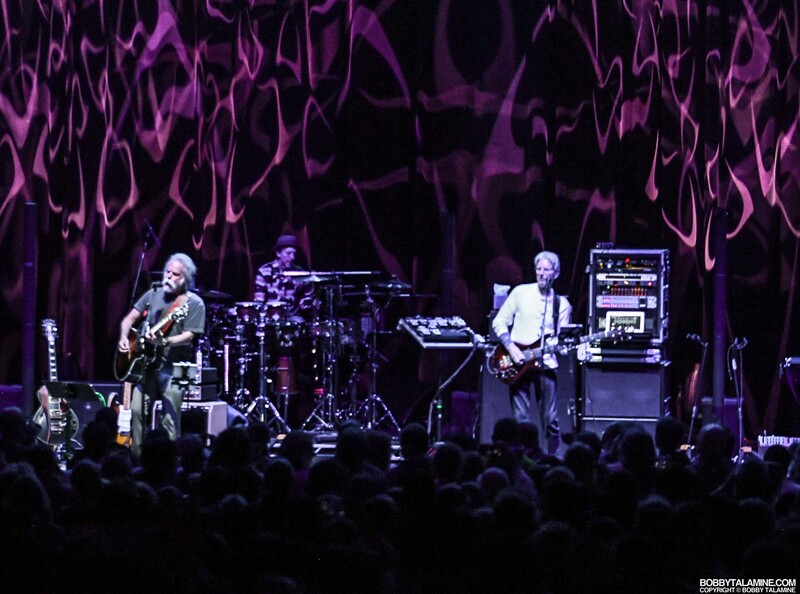 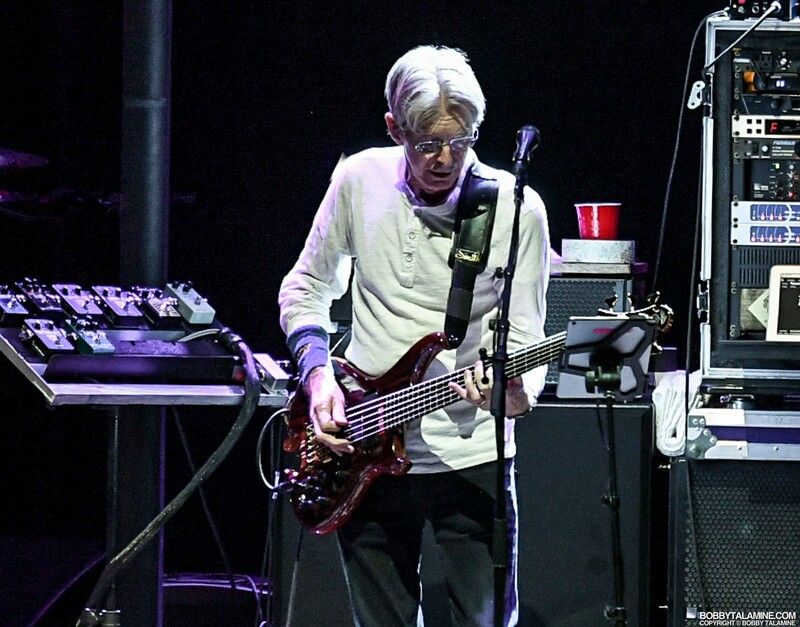 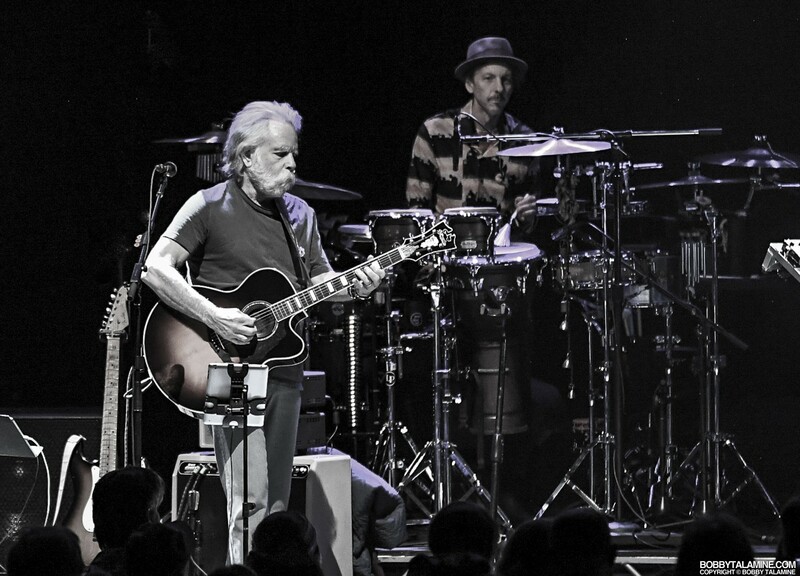 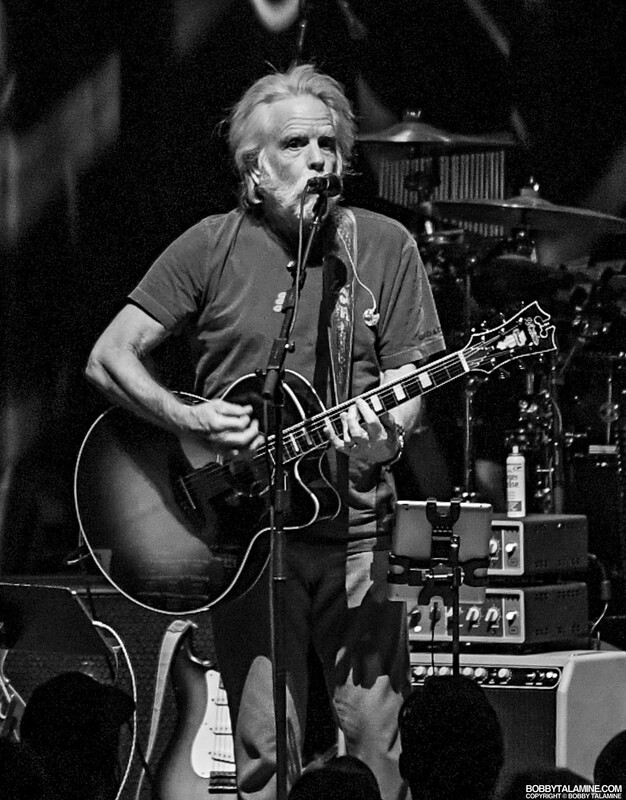 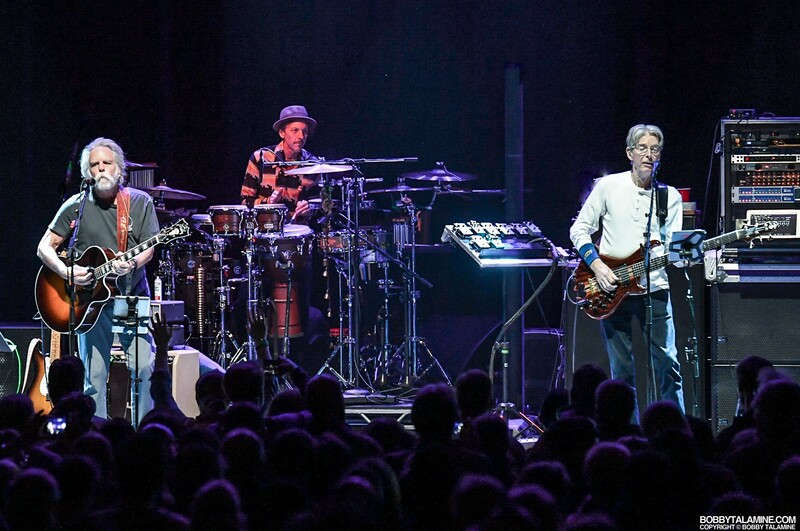 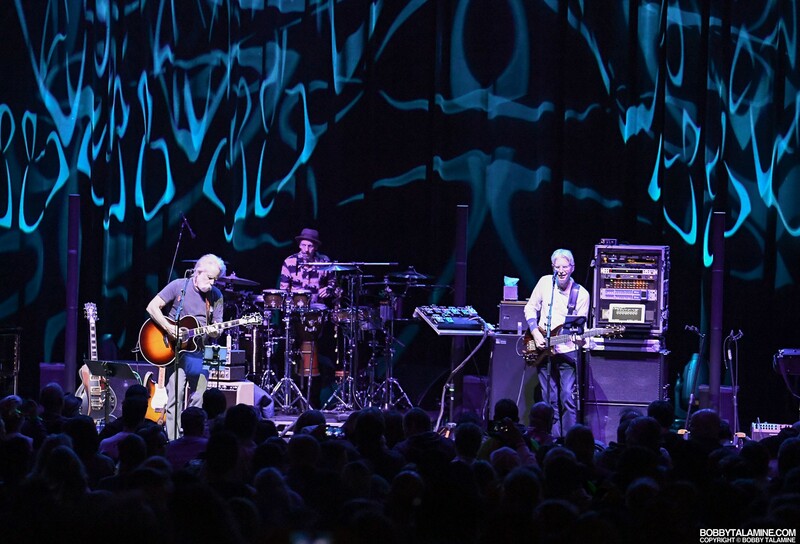 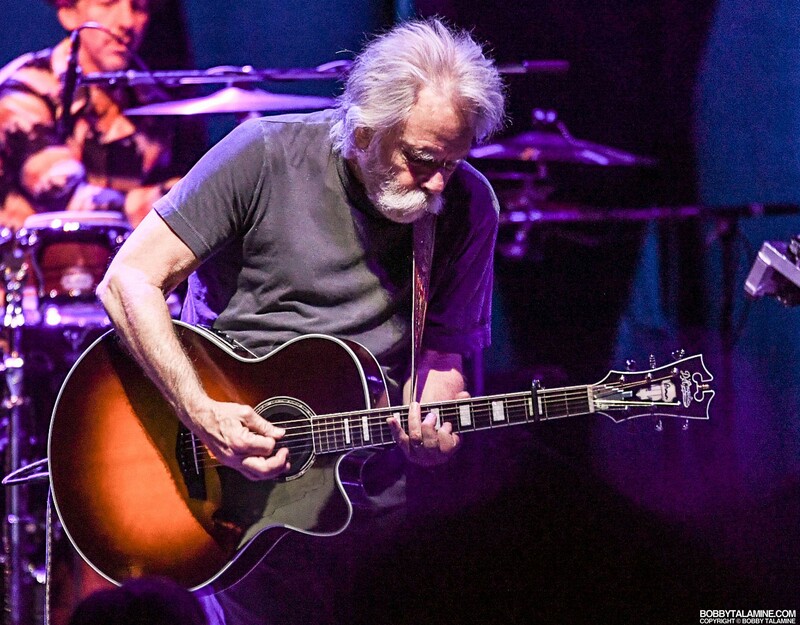 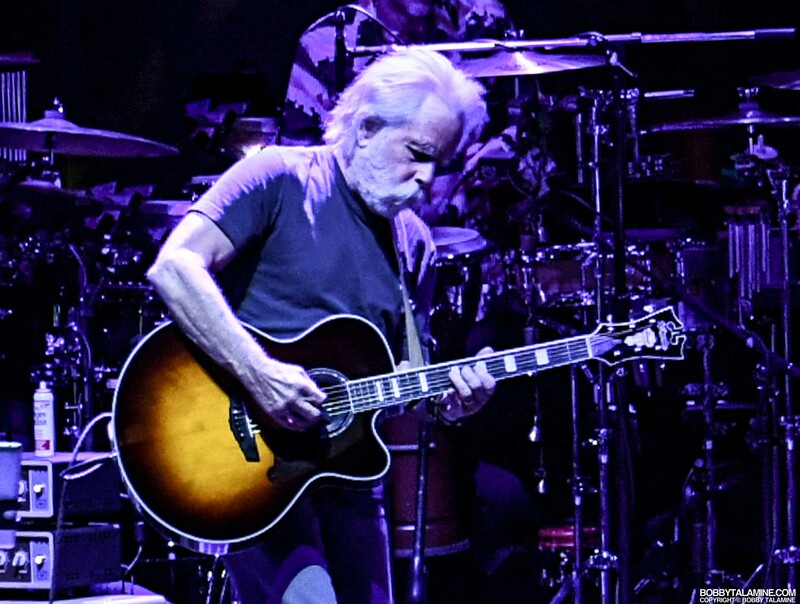 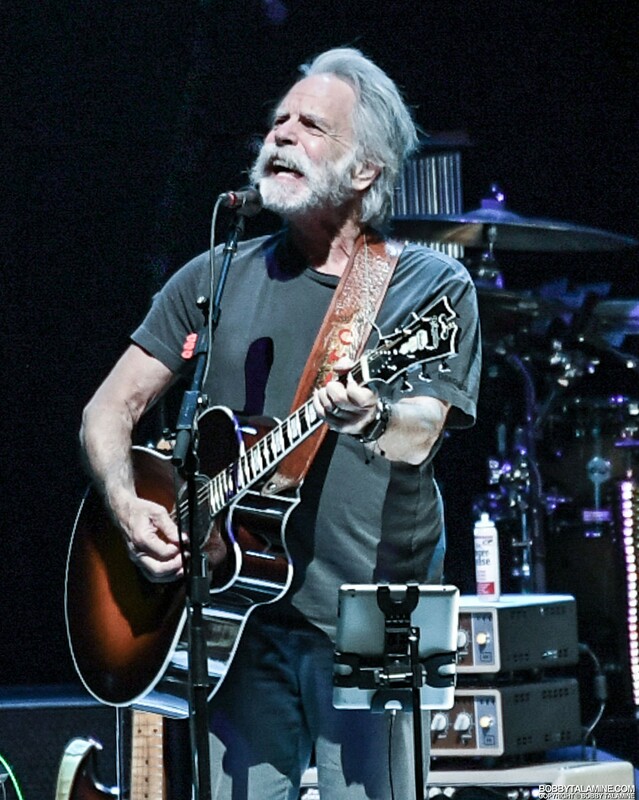 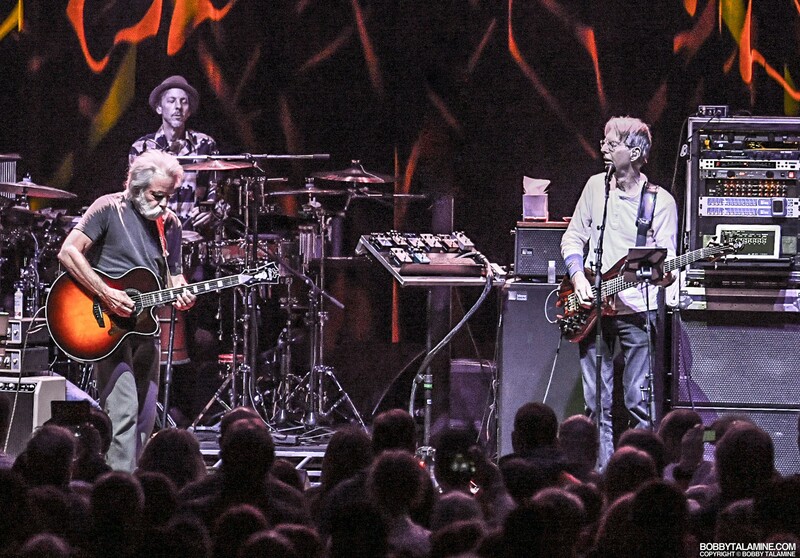 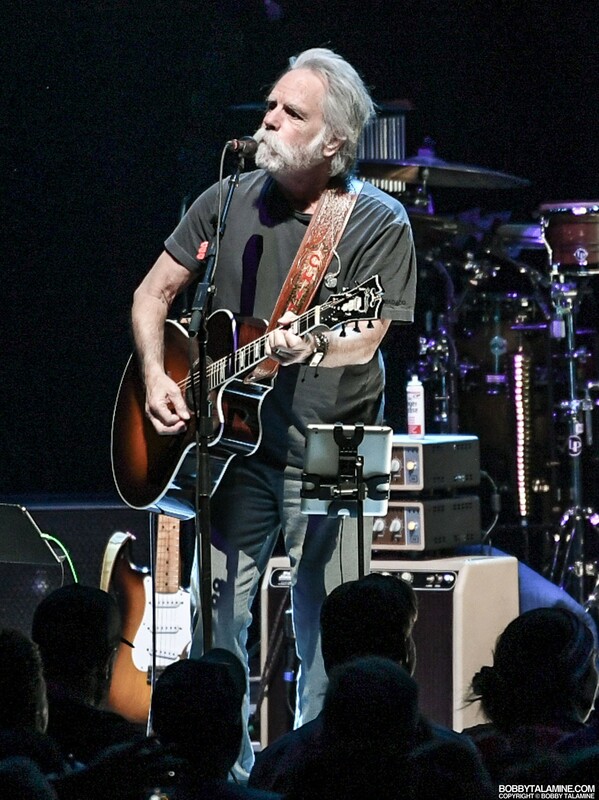 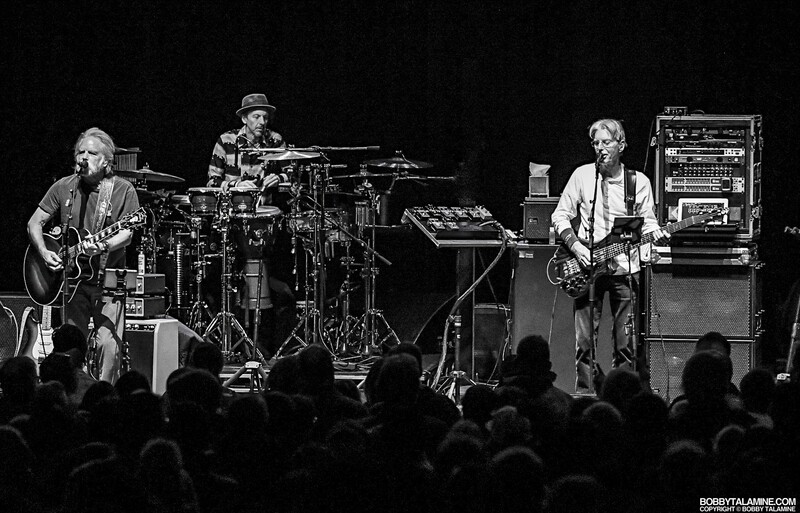 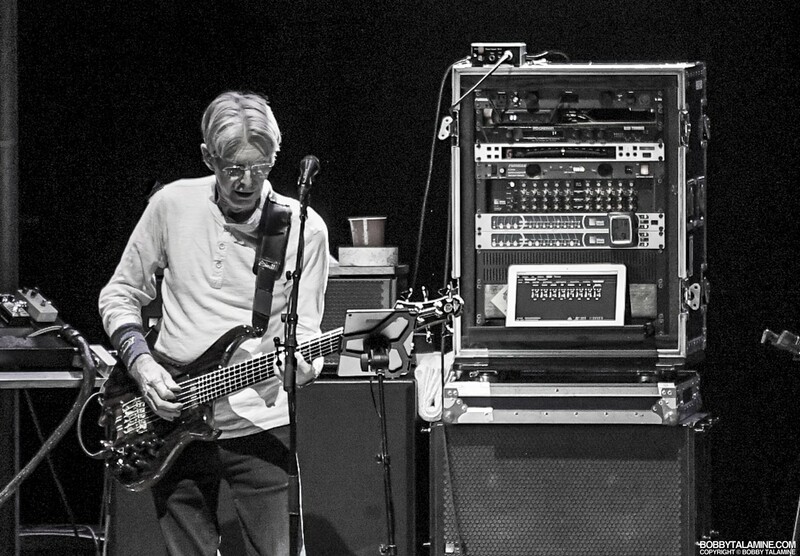 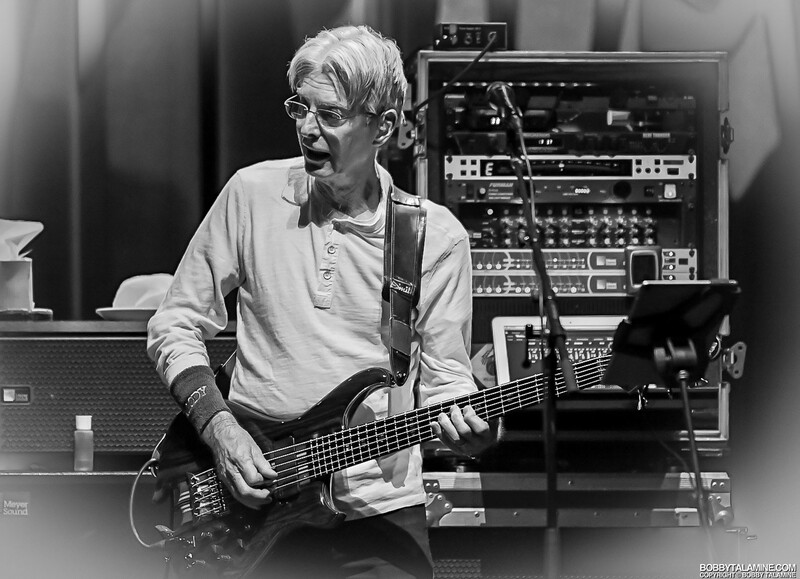 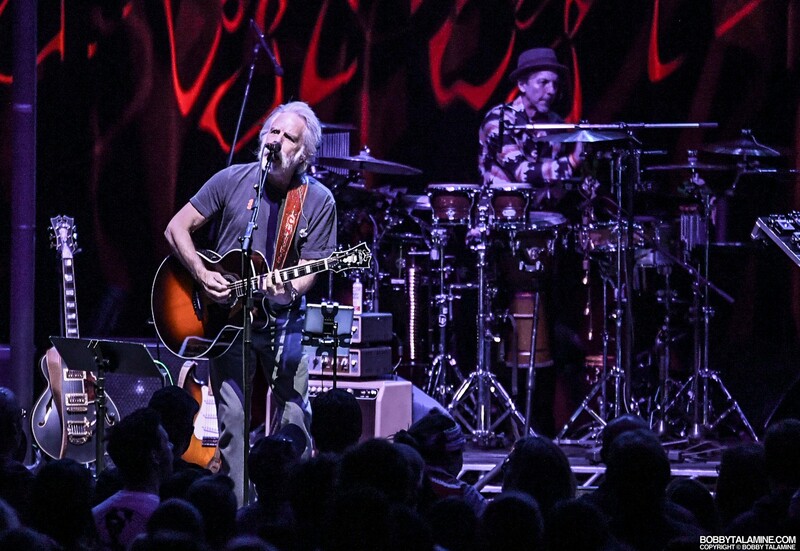 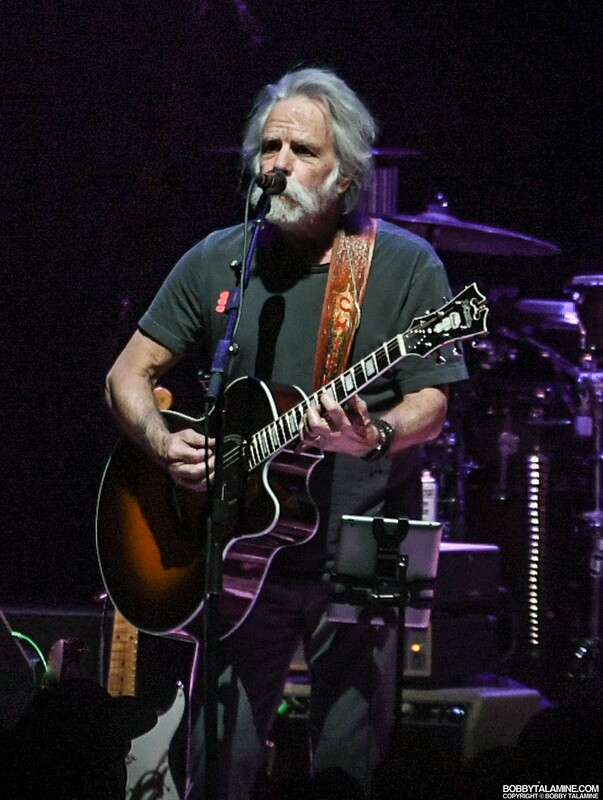 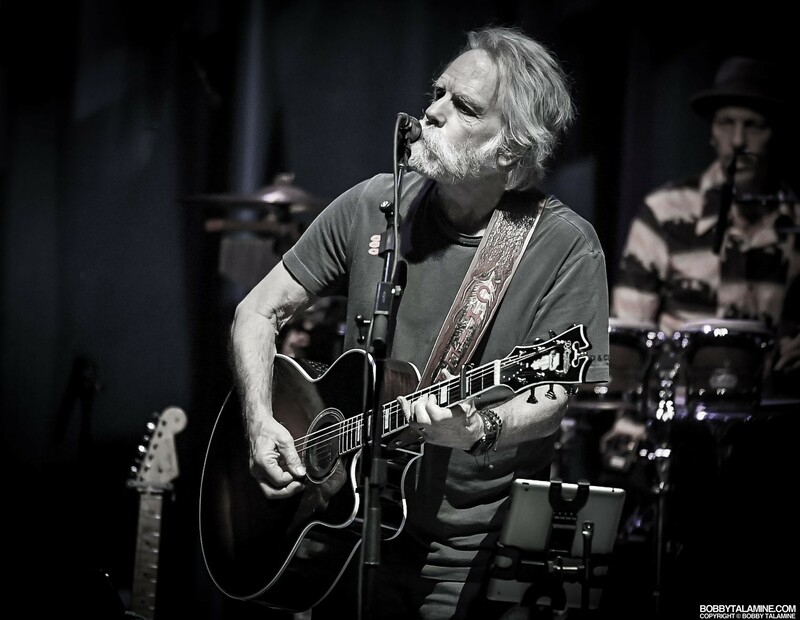 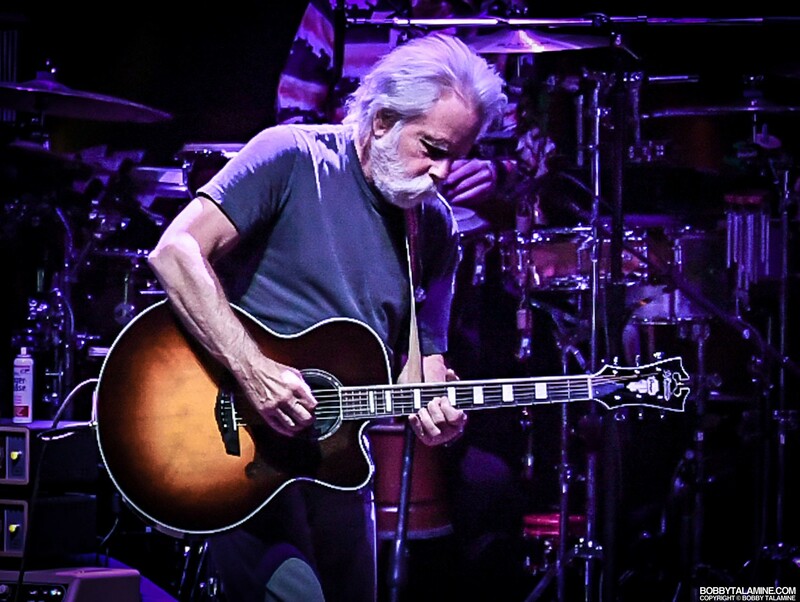 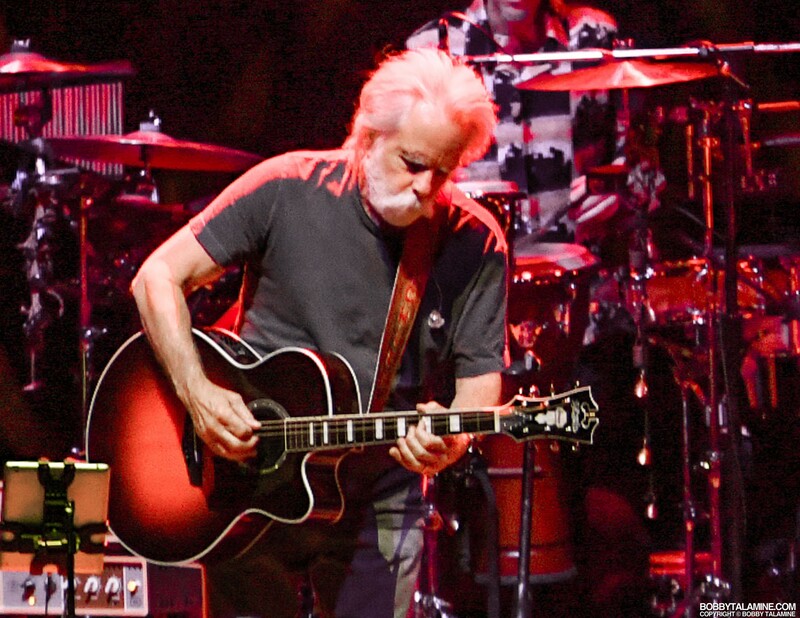 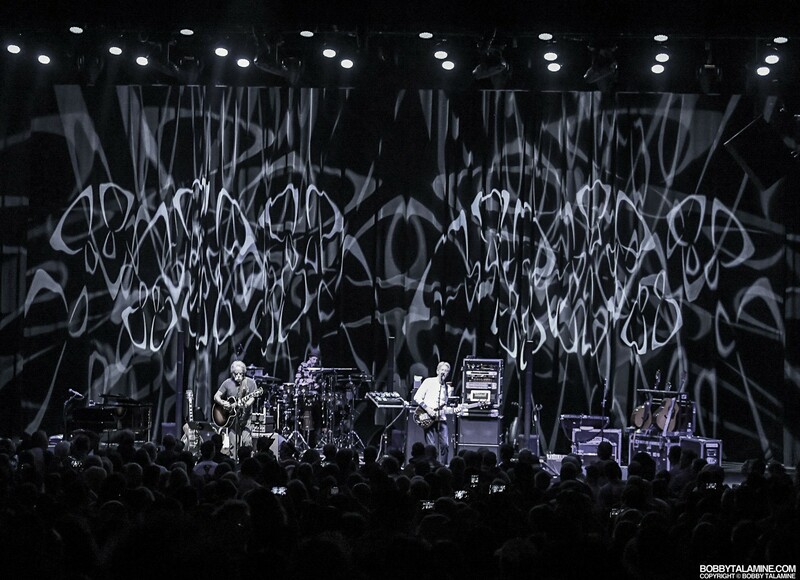 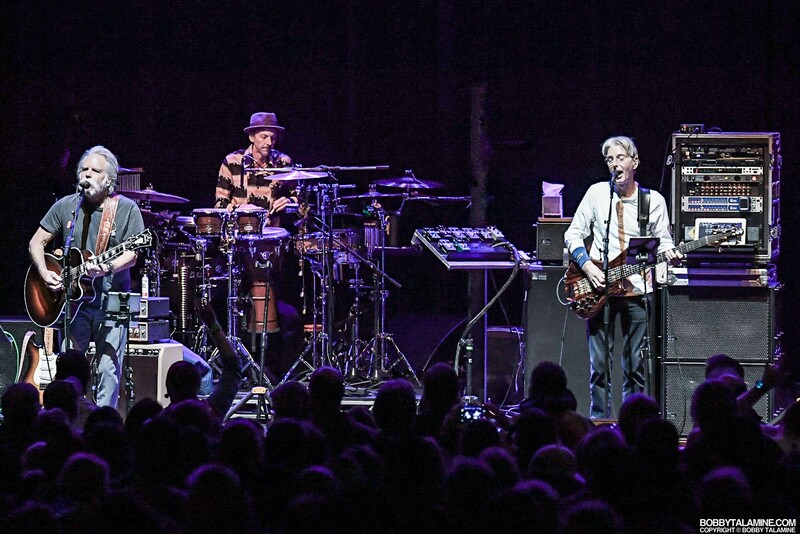 The Grateful Dead brother in arms: Bob Weir and Phil Lesh, plus the devoted Deadheads. 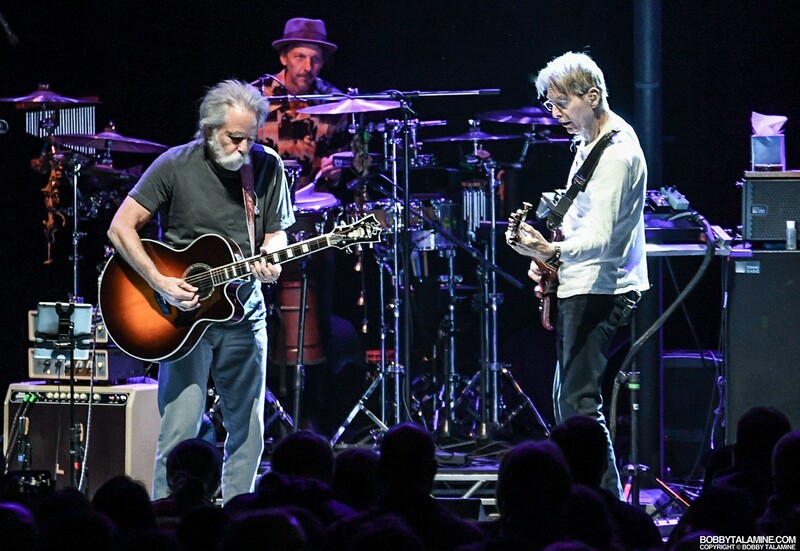 As long as these guys are still alive and pushing forward, this music that they’ve branded will still have a hold on the fans and Deadheads devoted to the cause. 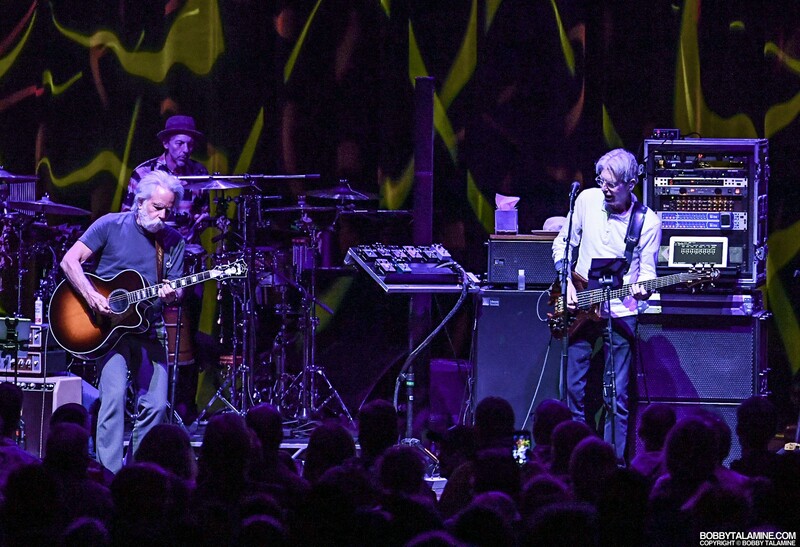 It really is a unique experience to watch in person- not just the musicians involved, but the fans as well, before the show starts, inside and outside whatever venue or town they happen to be playing in. 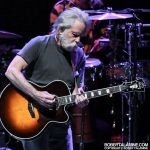 The experience of seeing any incarnation of the Dead still holds thrills, and they will definitely jam on.